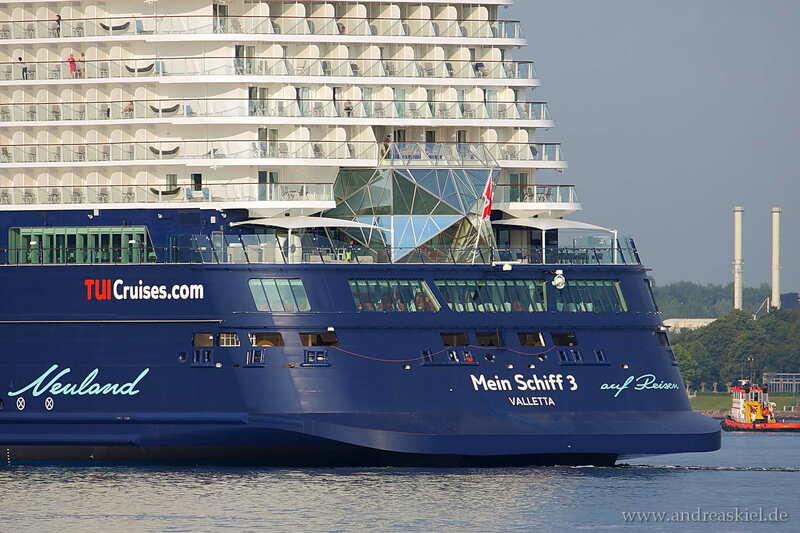 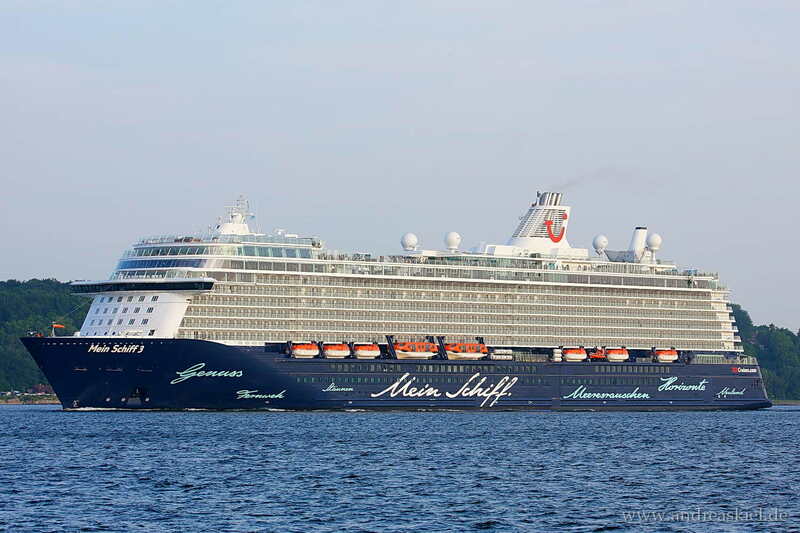 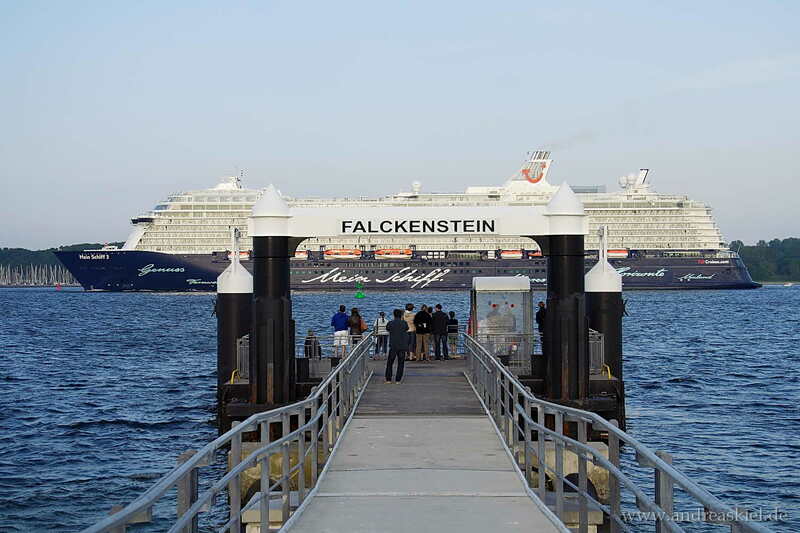 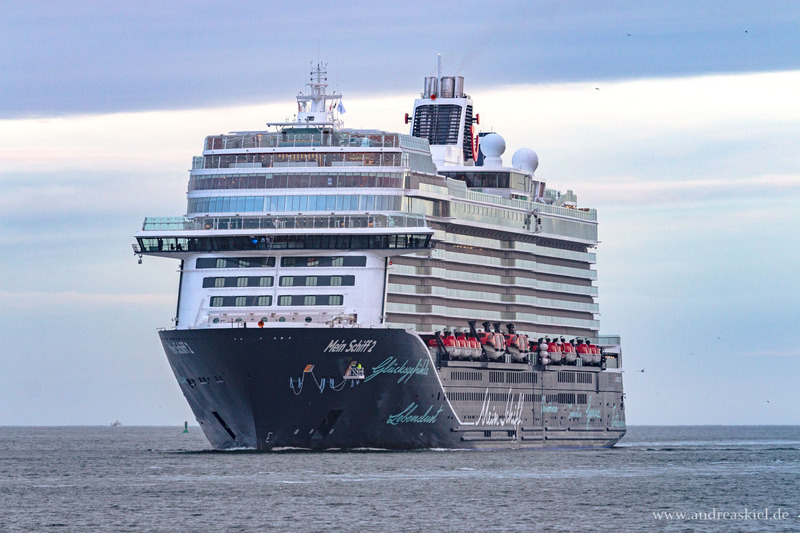 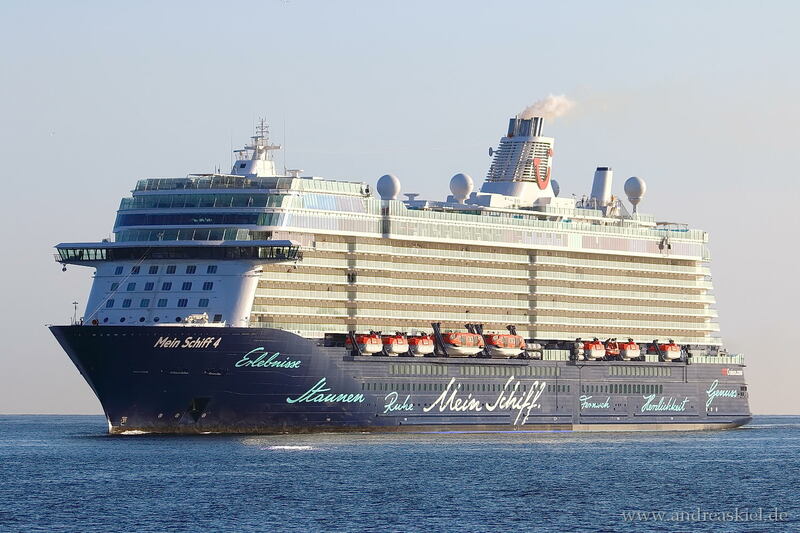 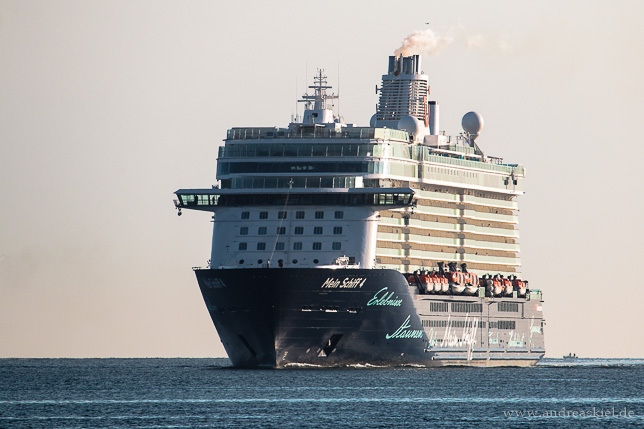 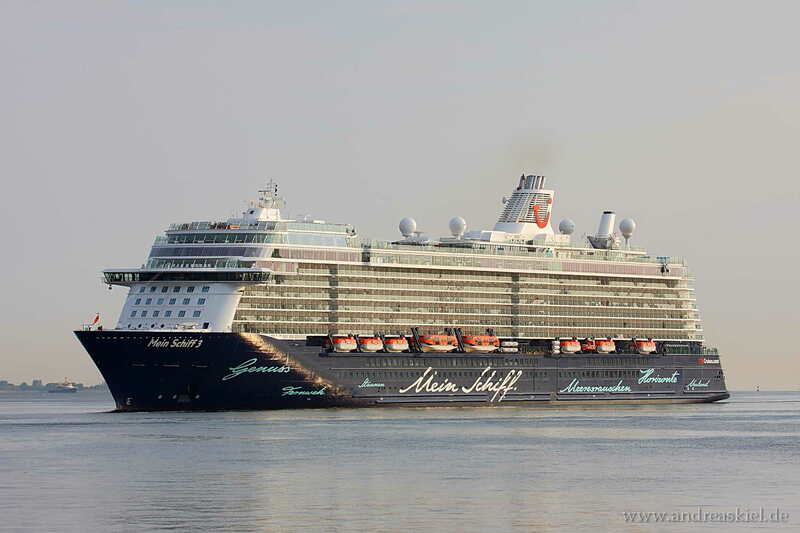 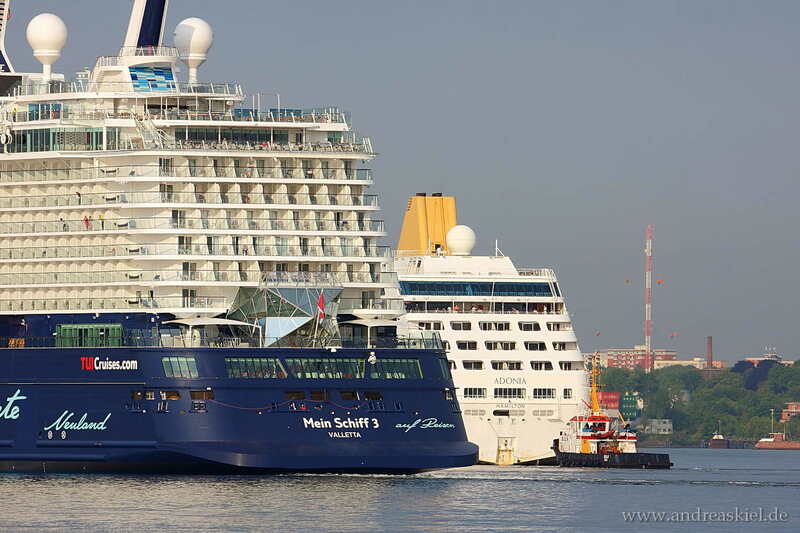 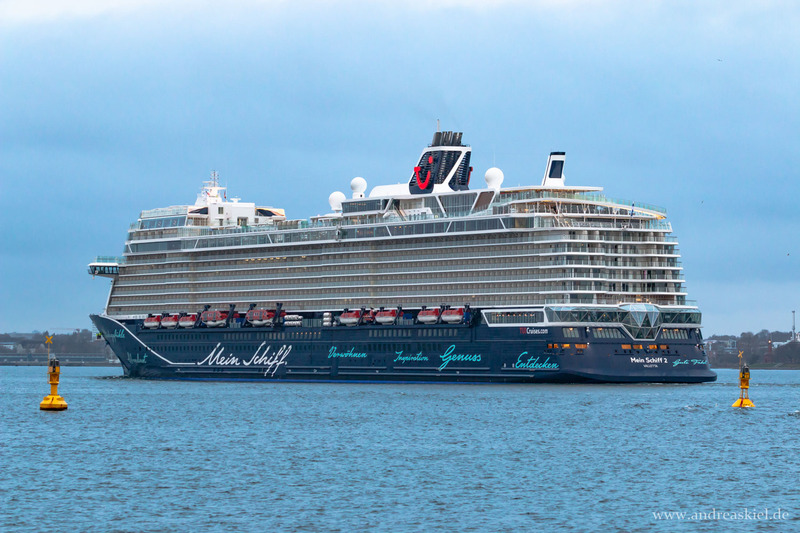 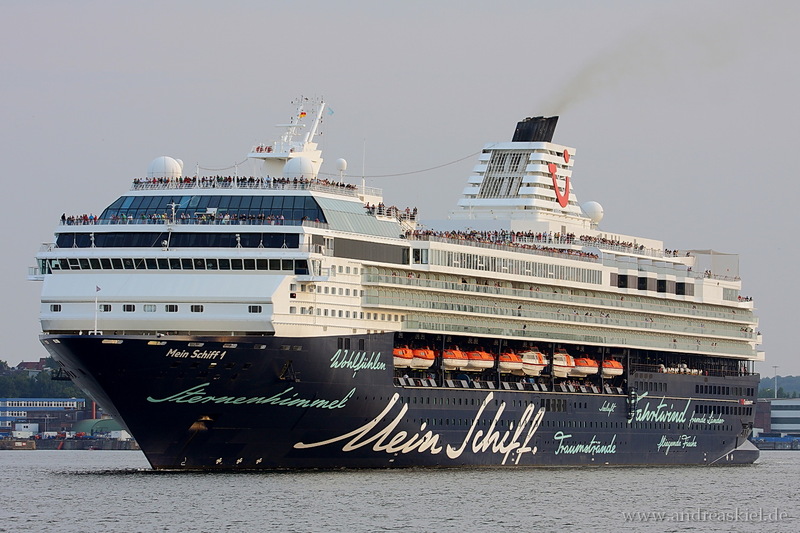 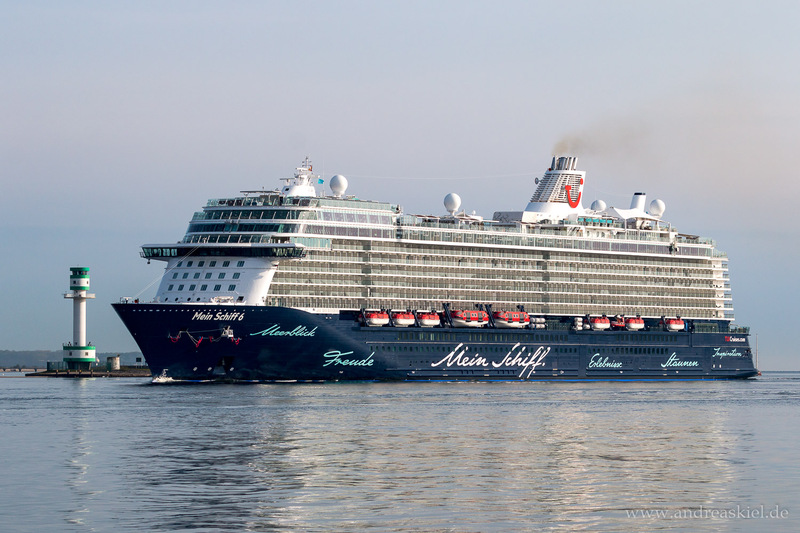 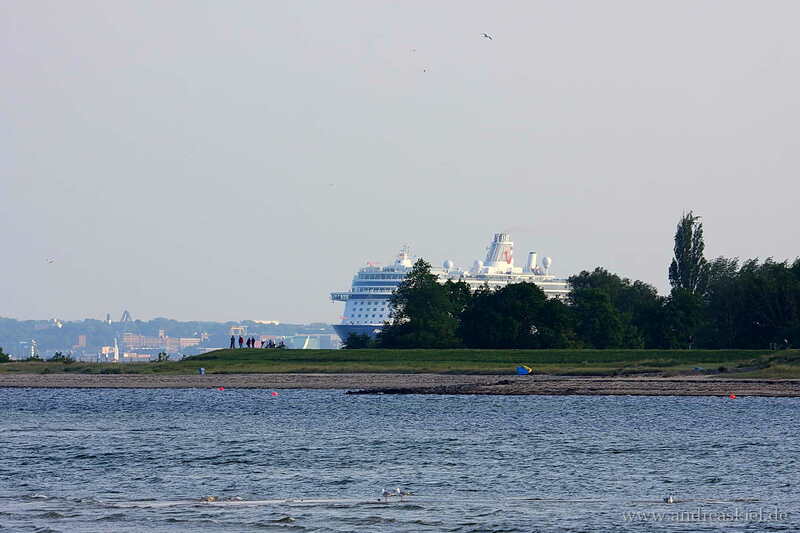 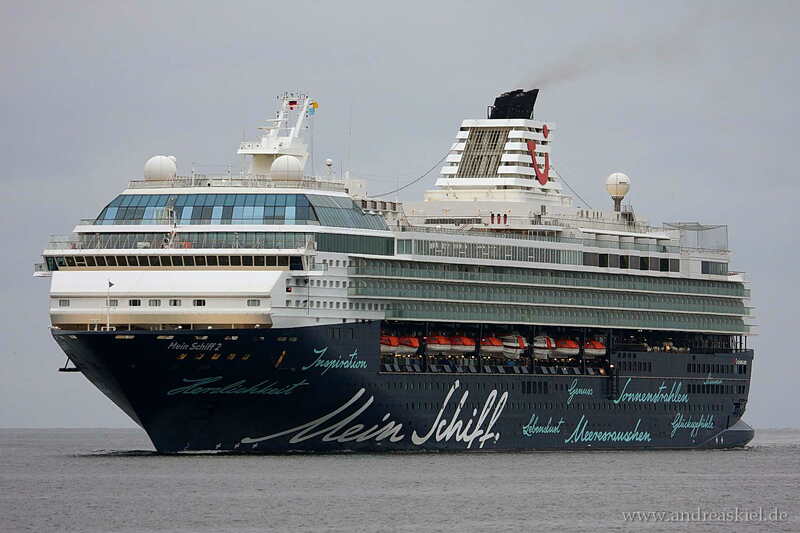 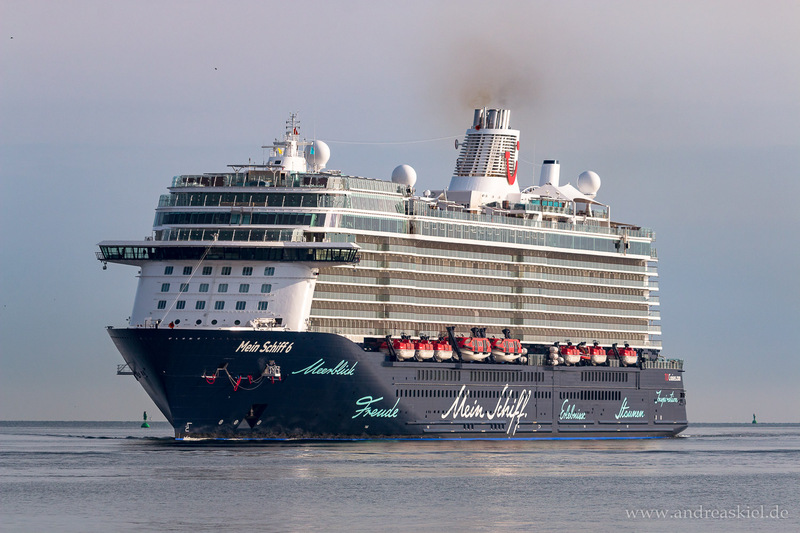 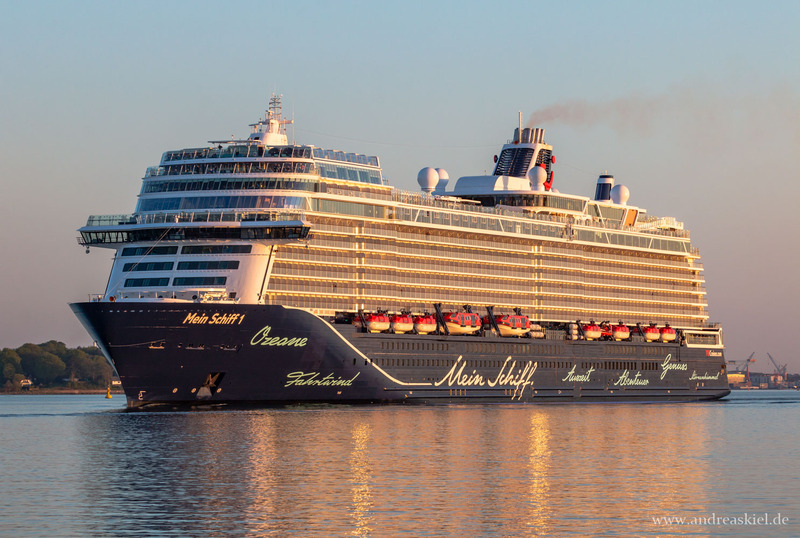 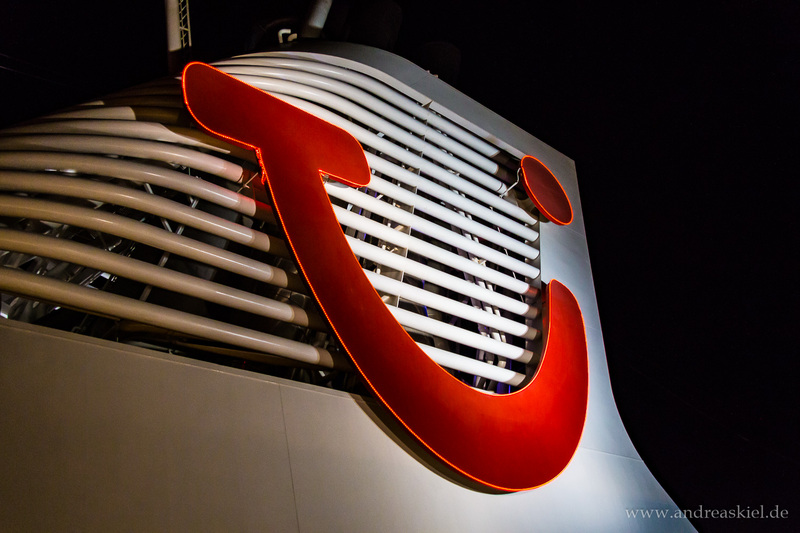 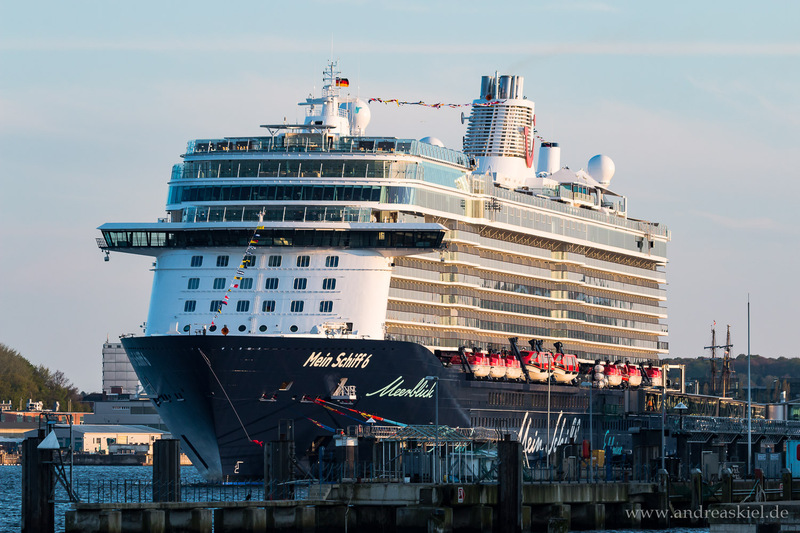 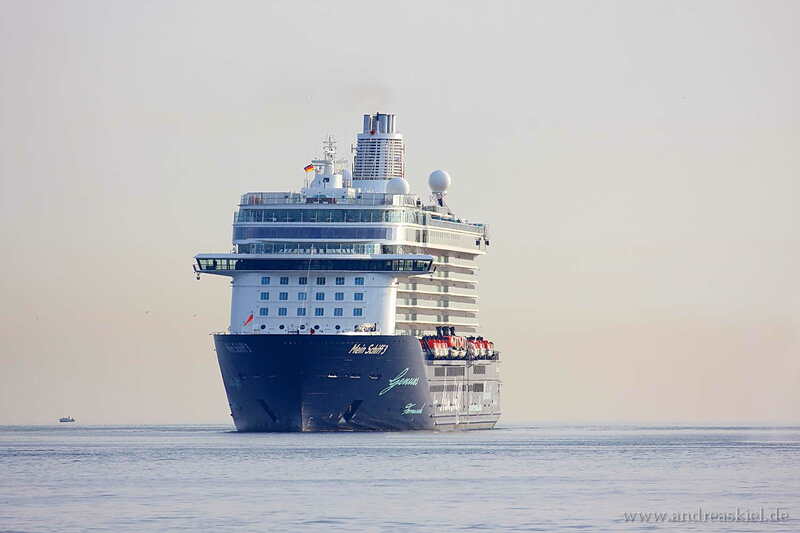 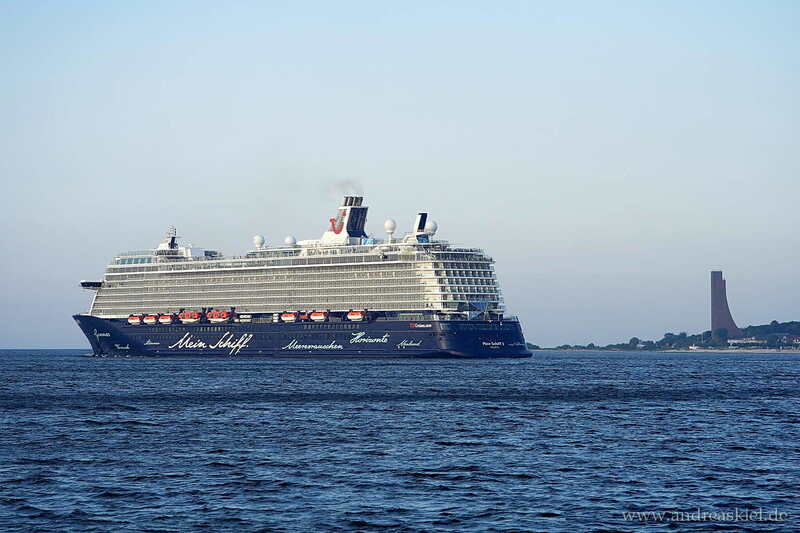 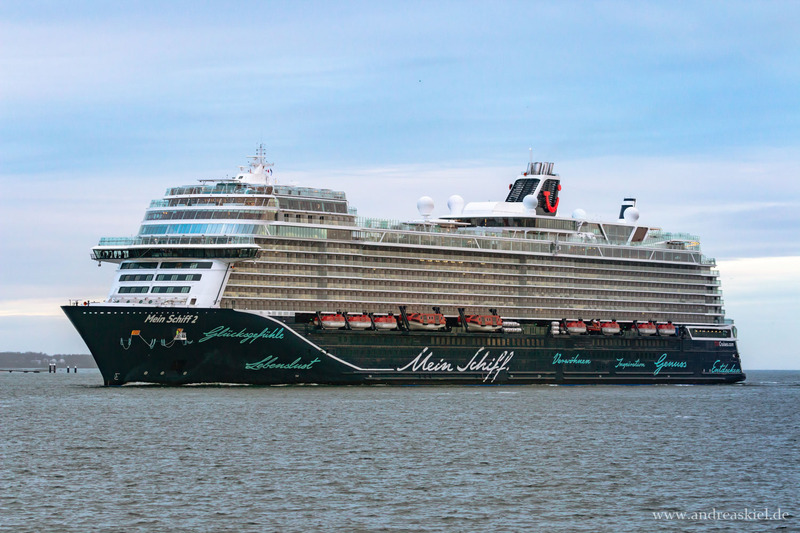 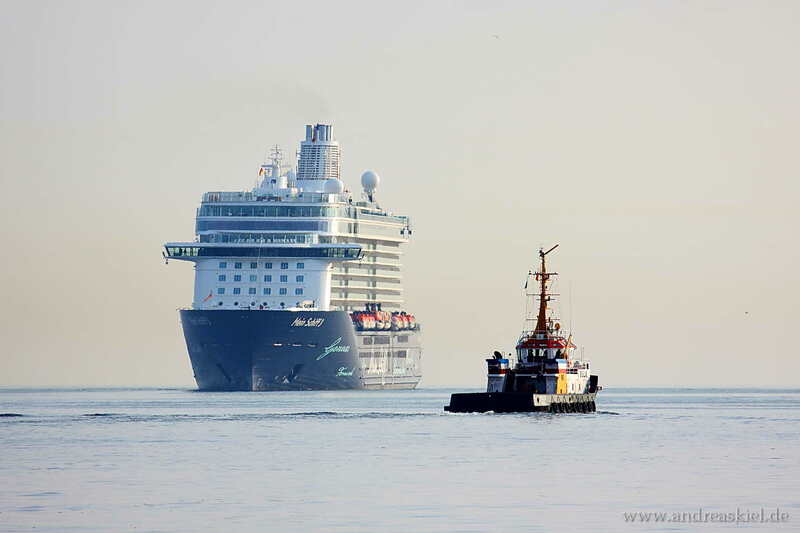 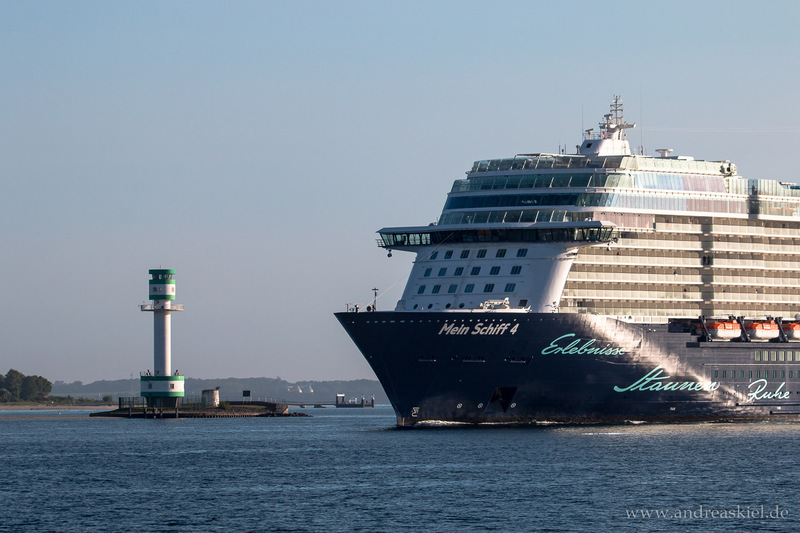 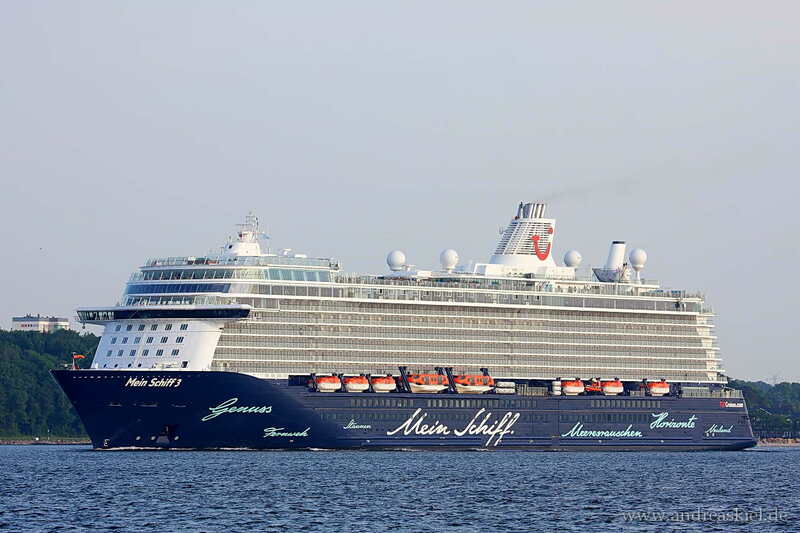 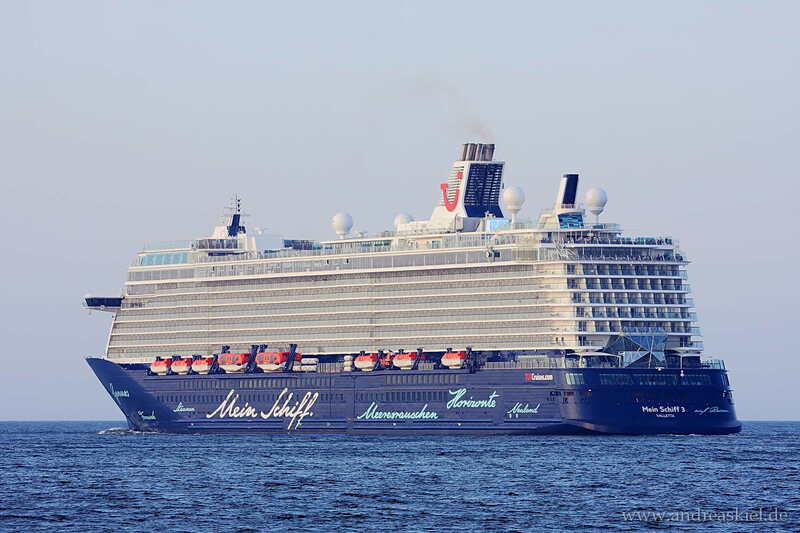 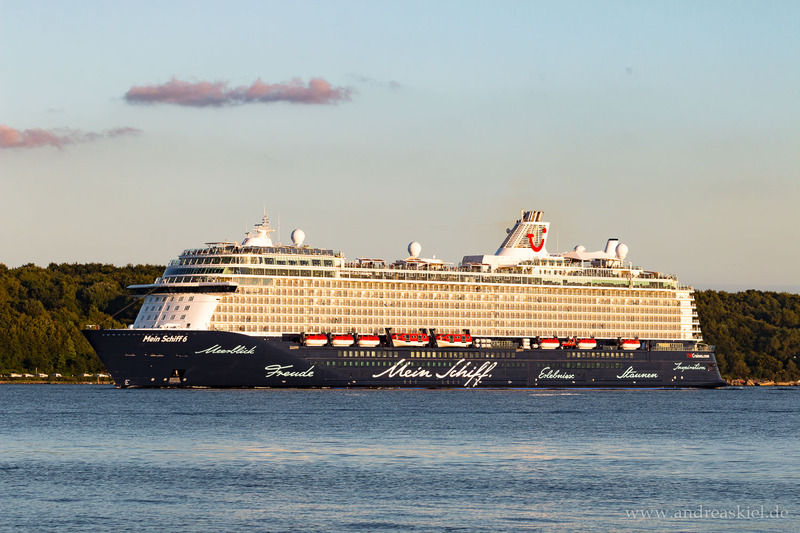 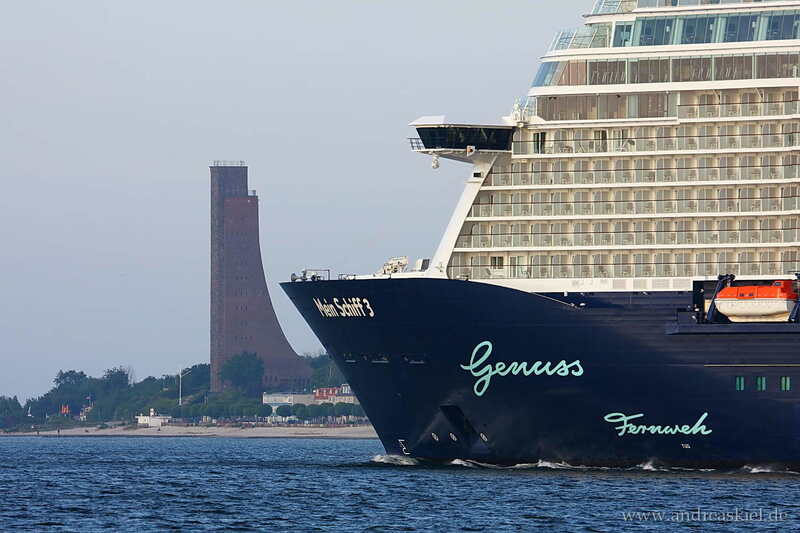 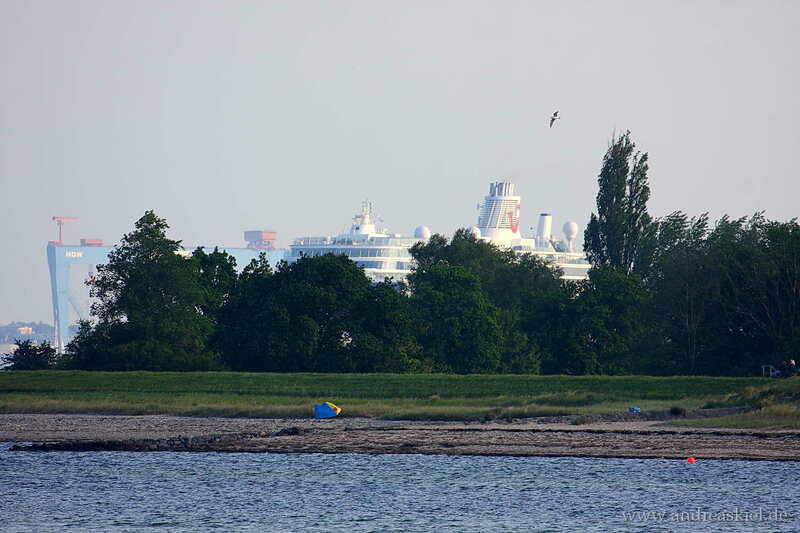 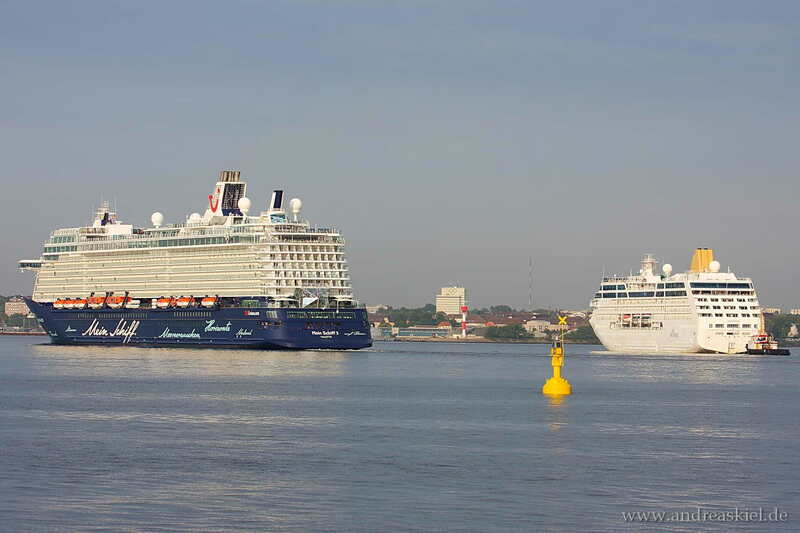 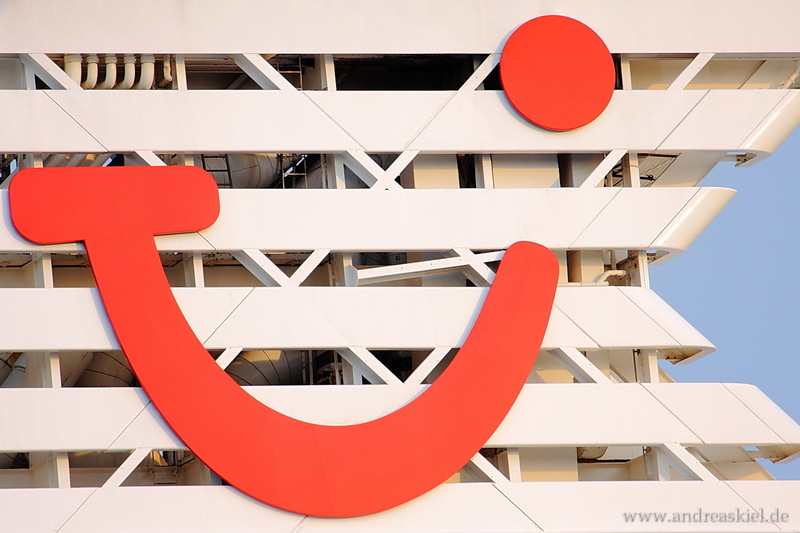 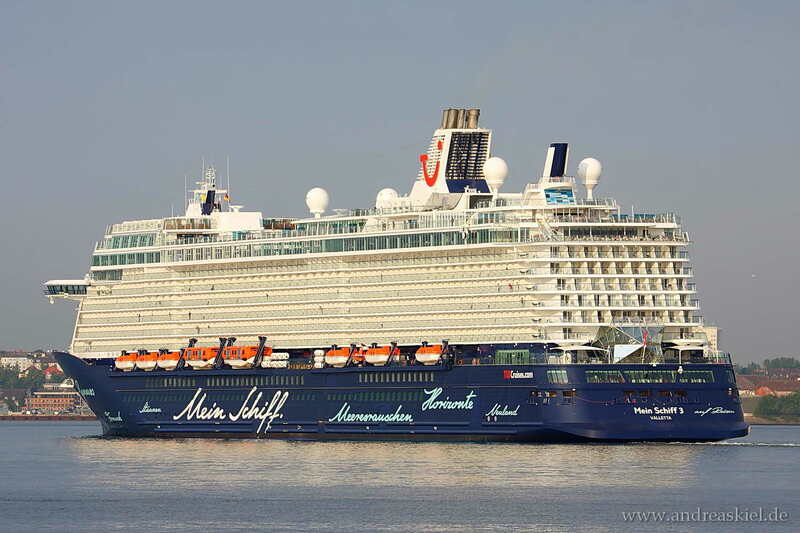 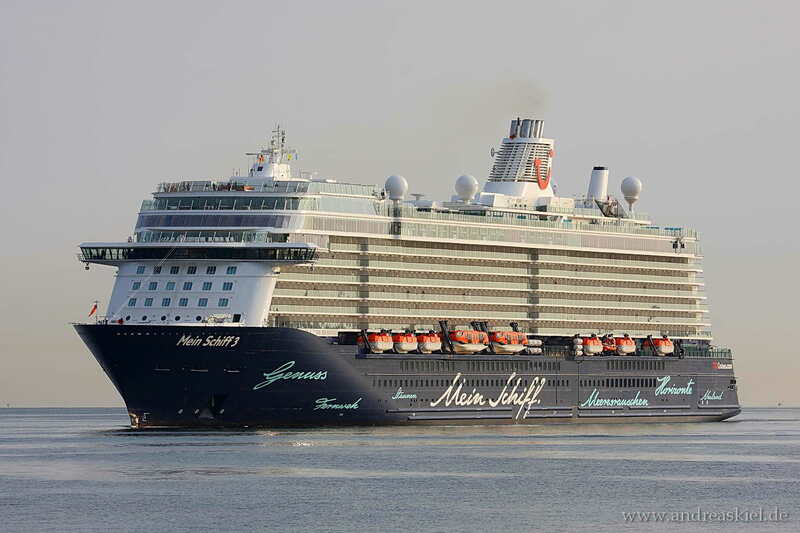 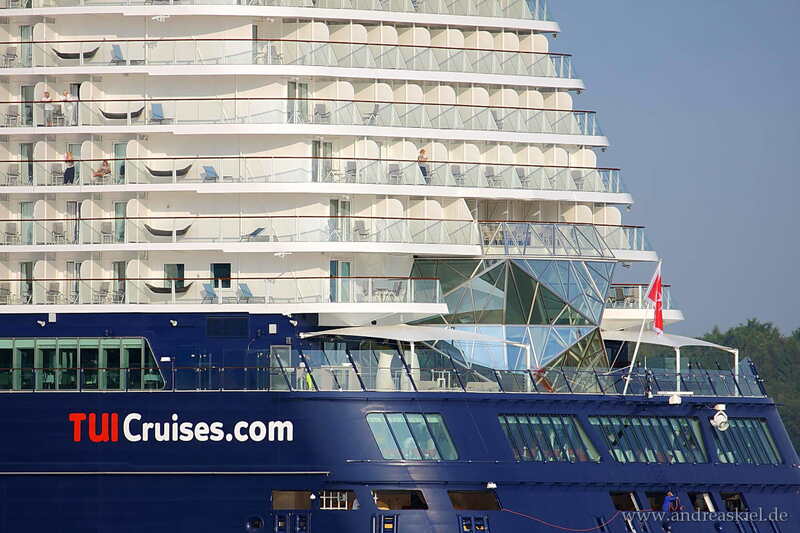 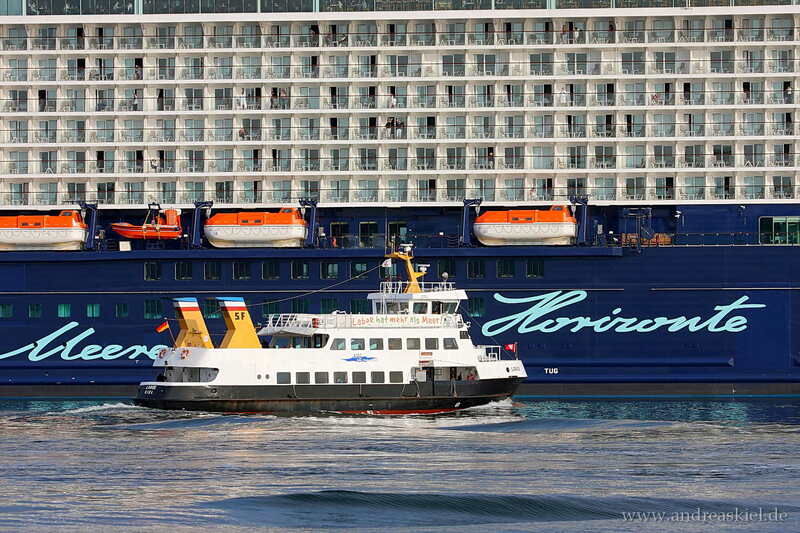 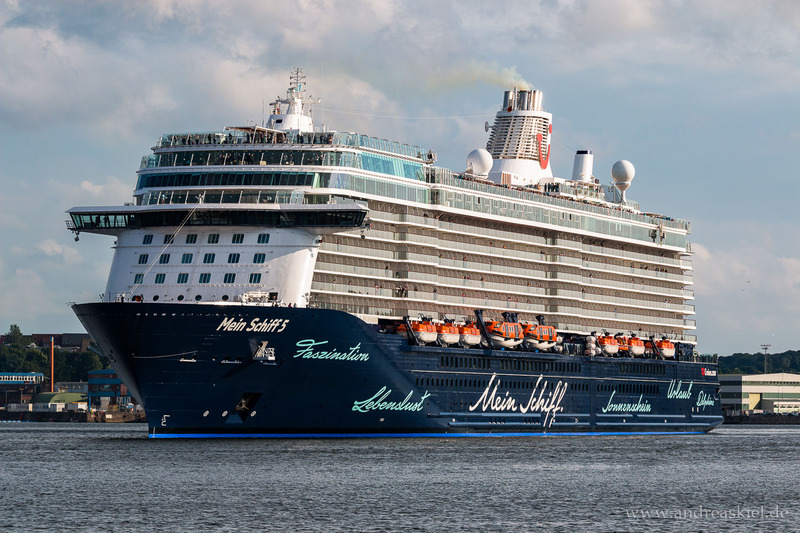 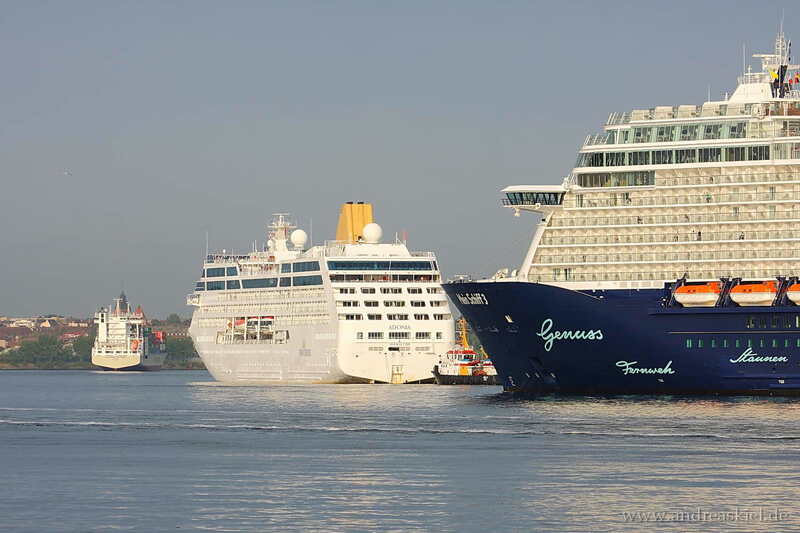 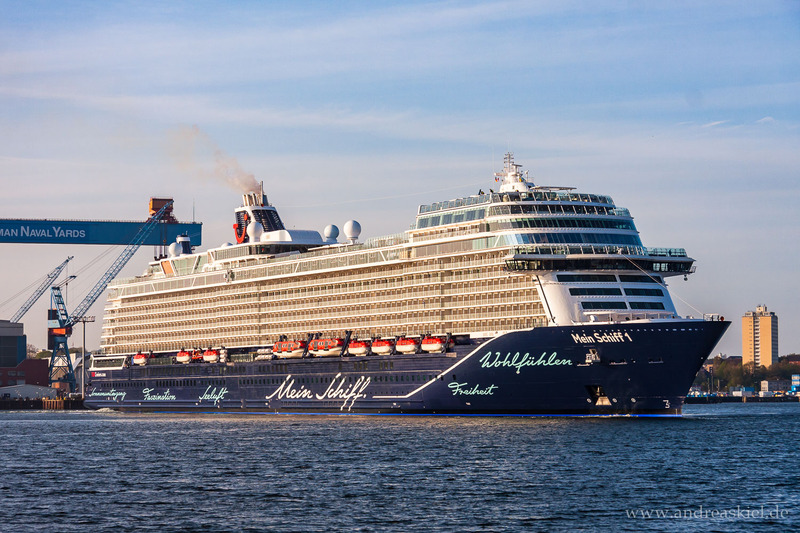 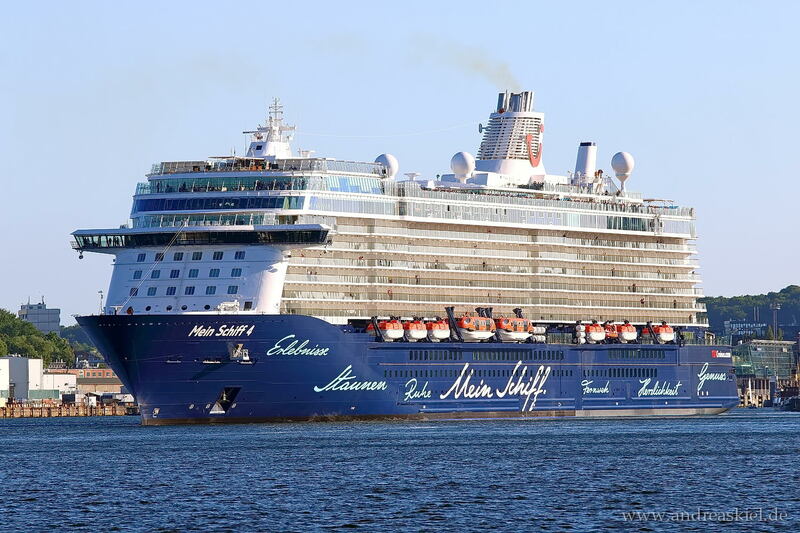 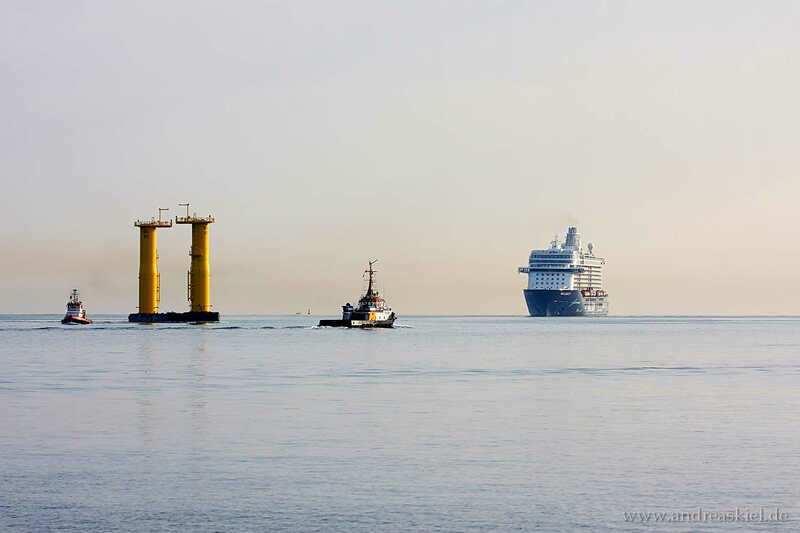 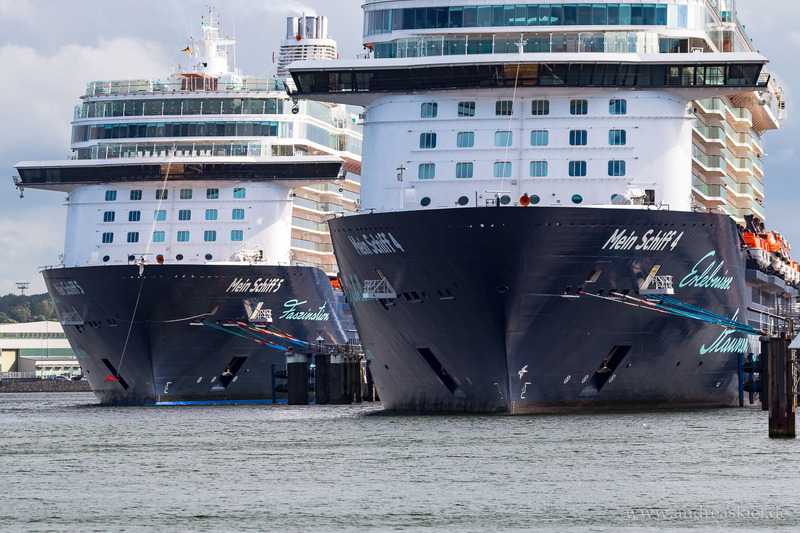 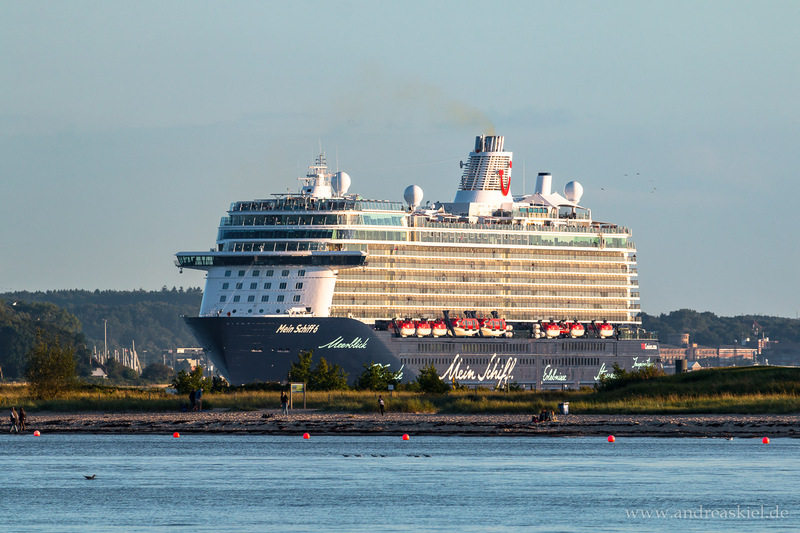 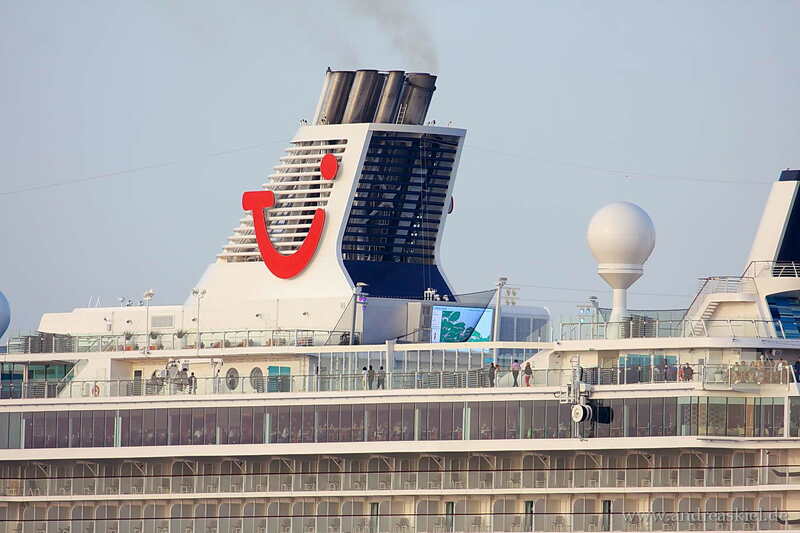 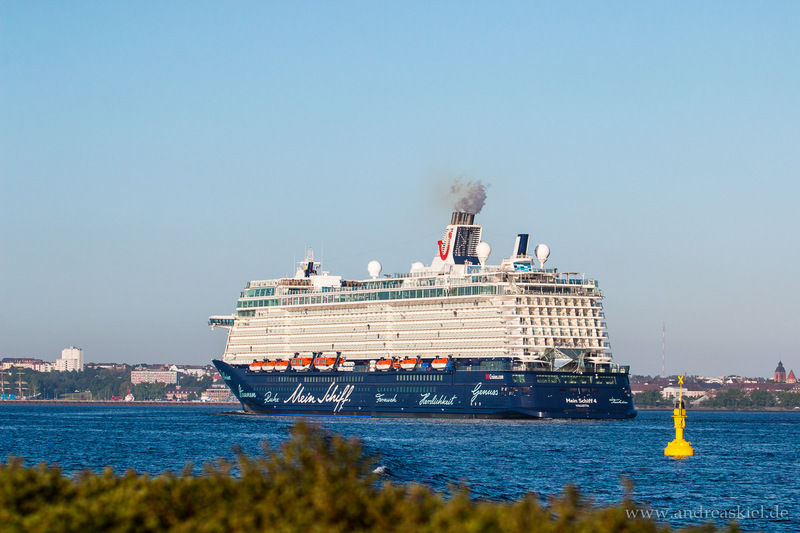 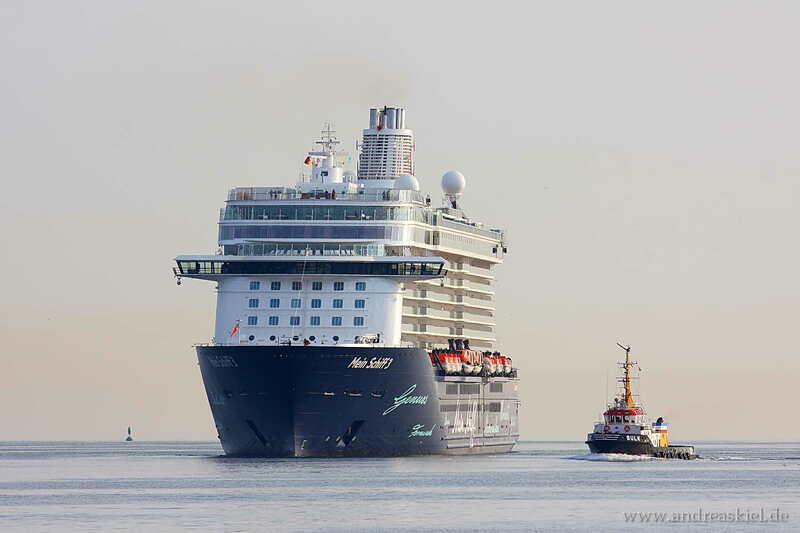 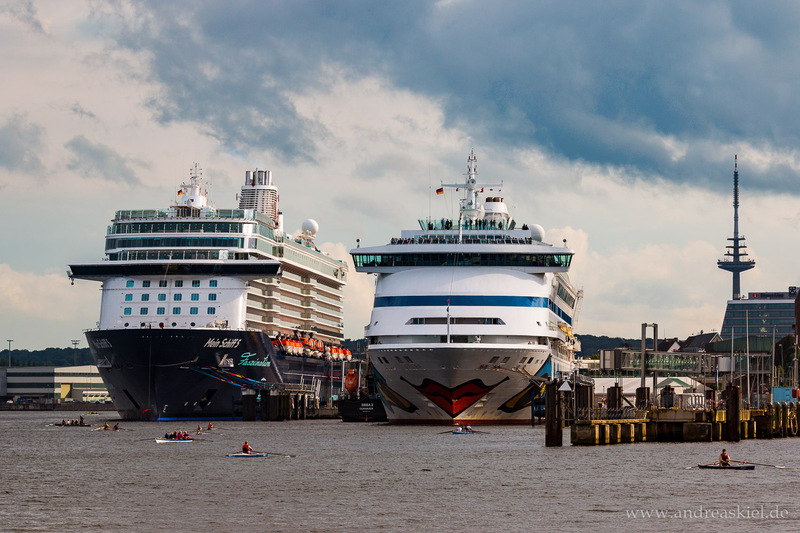 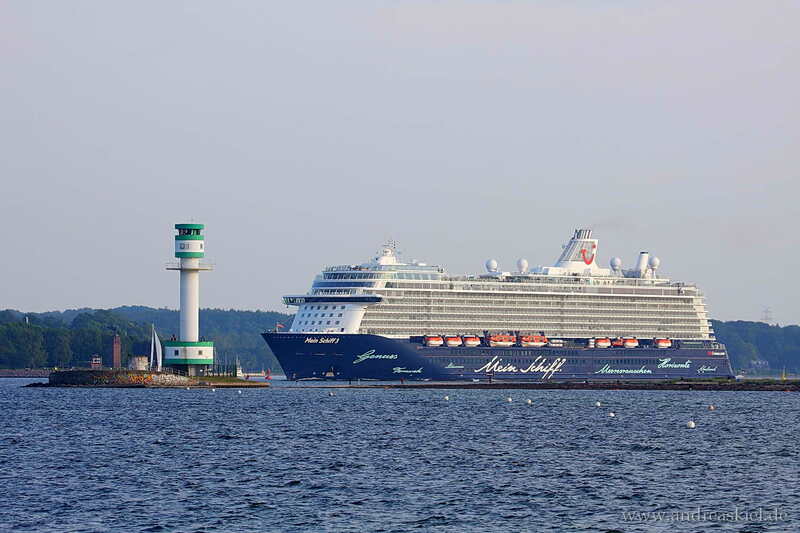 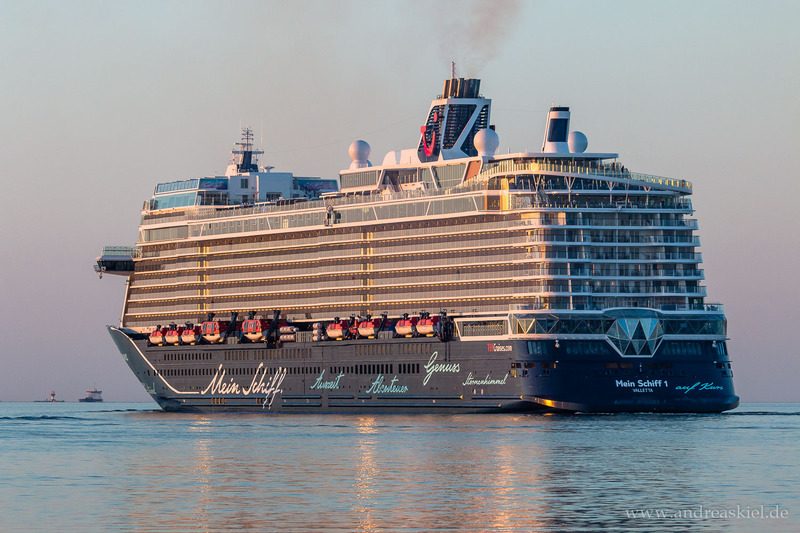 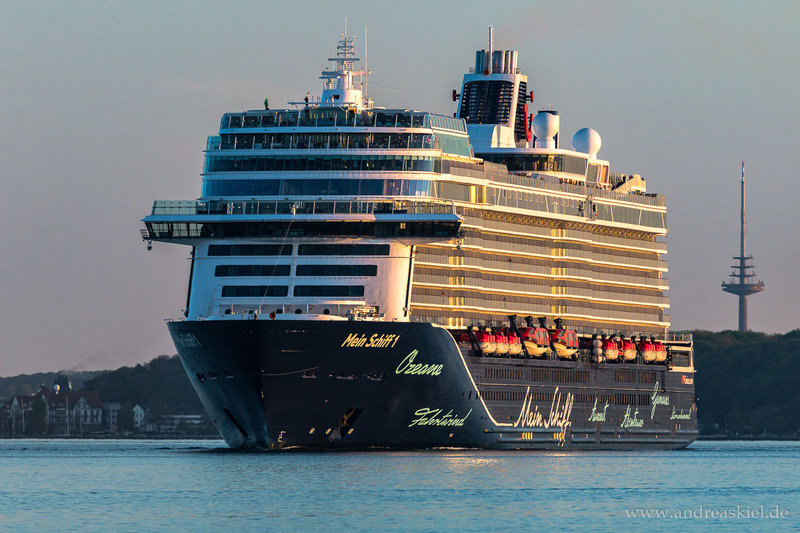 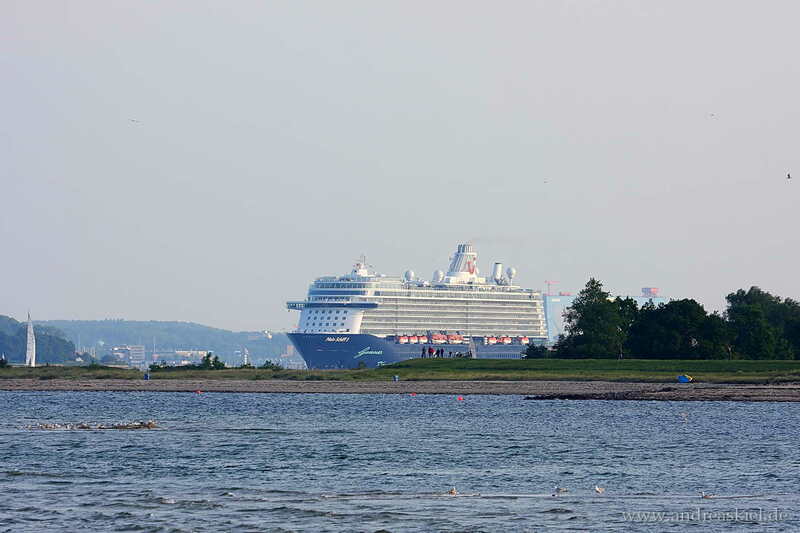 Have a look at my shipspotting photos of Tui Cruises ships (Mein Schiff) mostly taken at Port of Kiel. 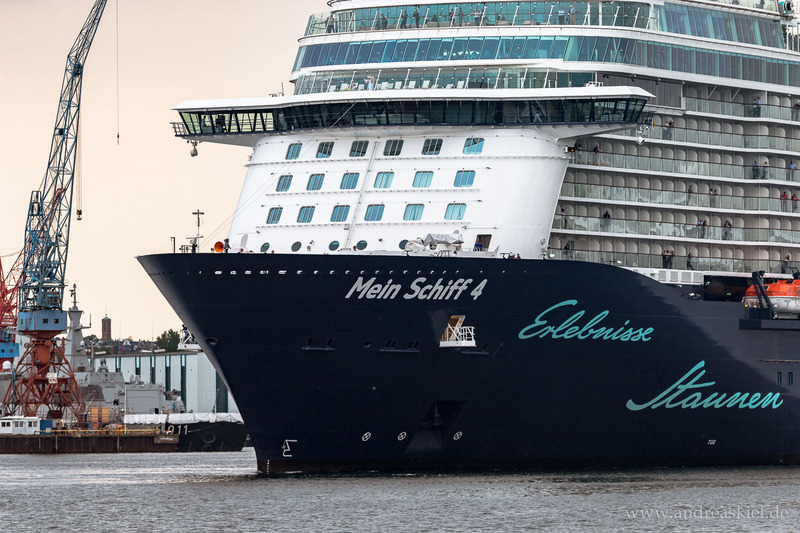 Mein Schiff 1 leaving Port of Kiel (04.05.2018). 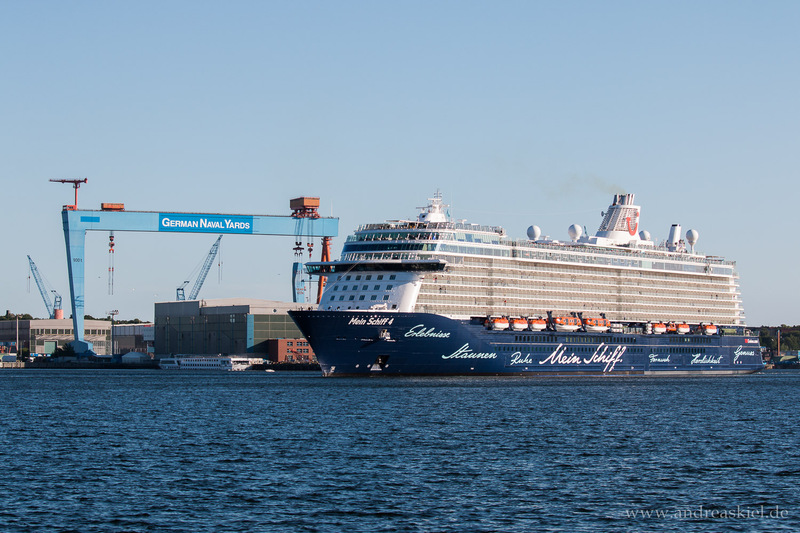 Mein Schiff 1 in front of gantry crane ... .
Mein Schiff 1 leaving Port of Kiel (04.05.2018). 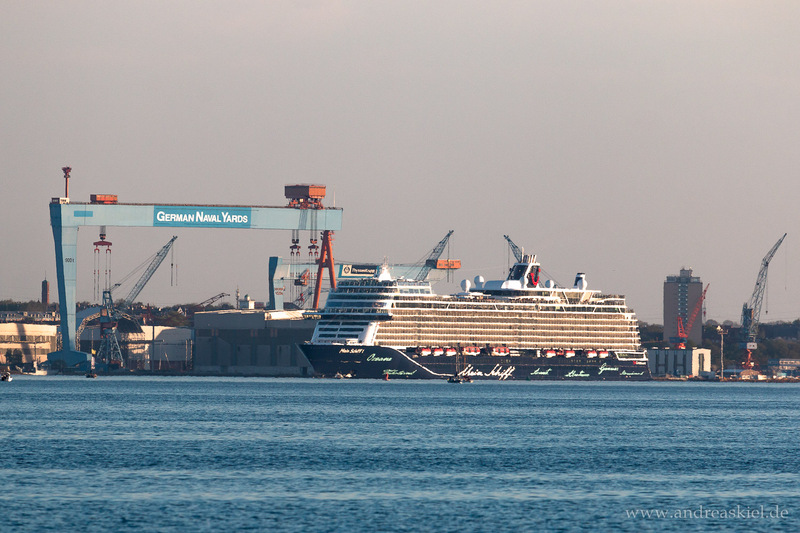 A distance shot in front of gantry crane (German Naval Yards) from lighthouse Kiel-Friedrichsort. 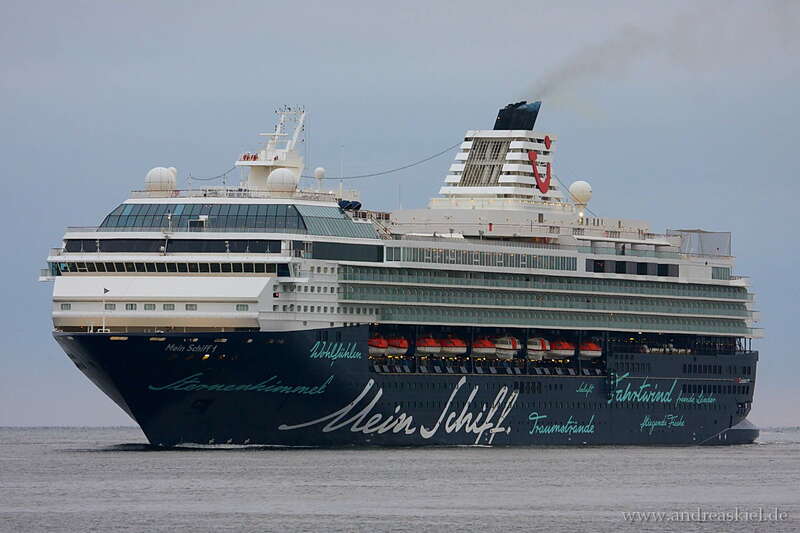 Mein Schiff 1 outbound Port of Kiel app. 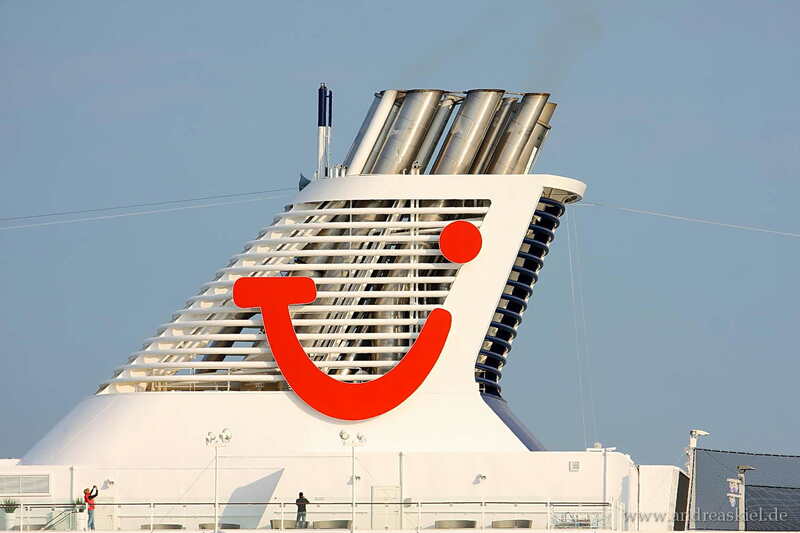 one hour delayed at 04.05.2018. 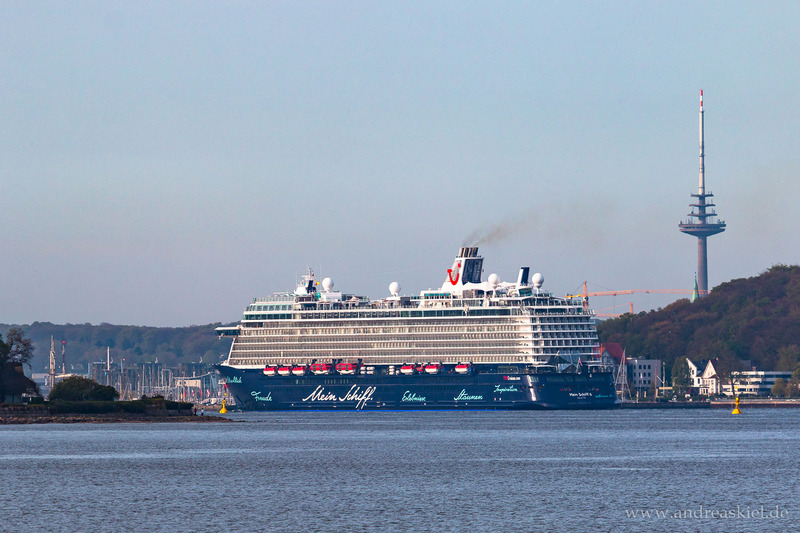 Mein Schiff 6 arriving Port of Kiel first time (11.05.2017). 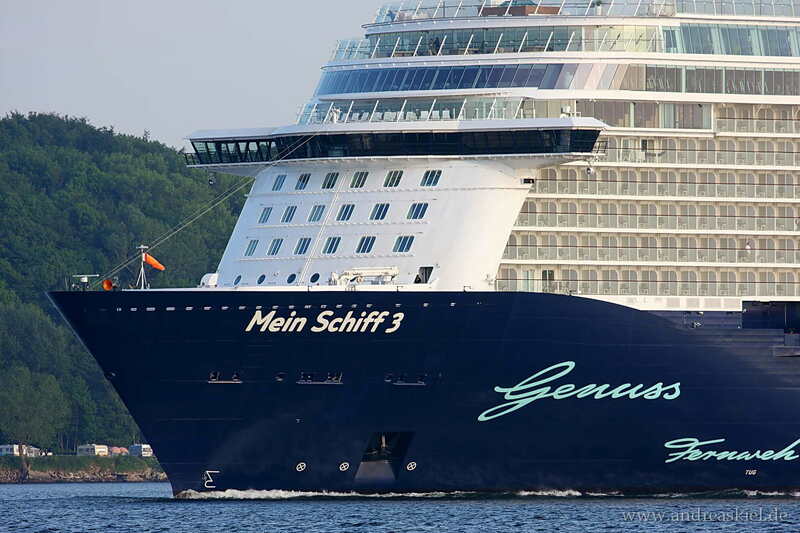 Mein Schiff 6 passing Kiel-Falckenstein (13.08.2017). 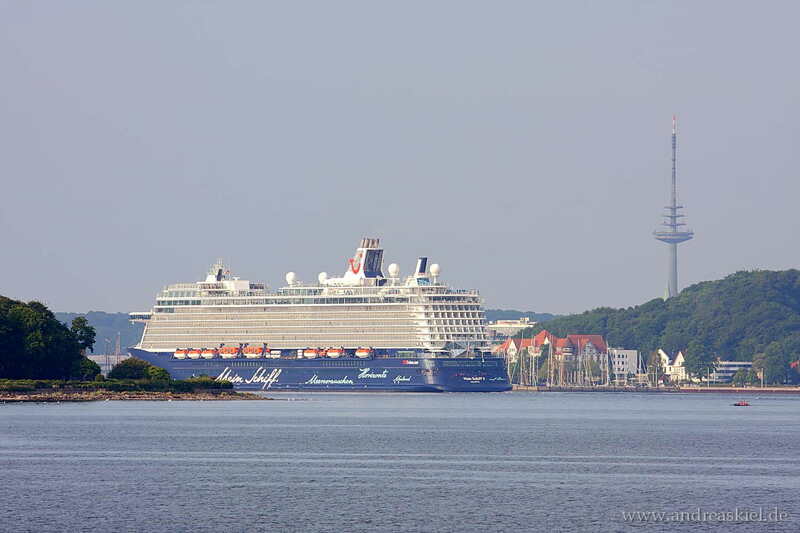 Mein Schiff 6 moving out of Kiel-Fjord headed to open sea (13.08.2017). 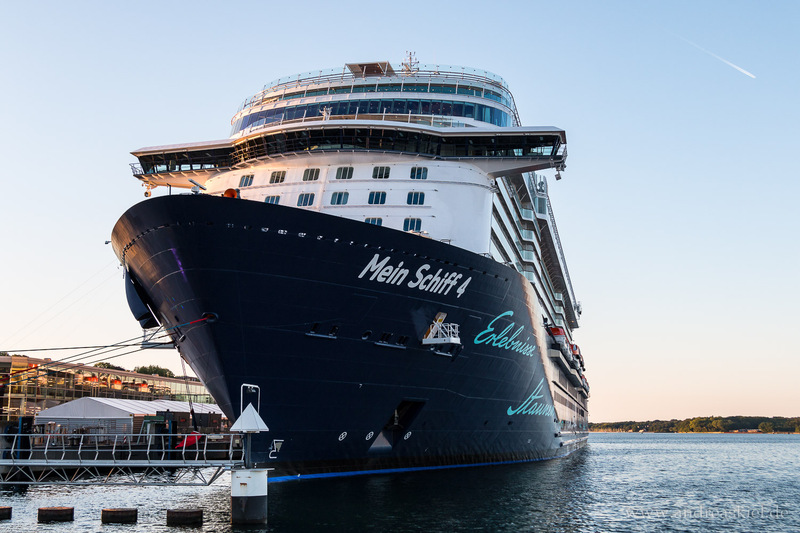 Mein Schiff 6 captured Port of Kiel 11.05.2017. 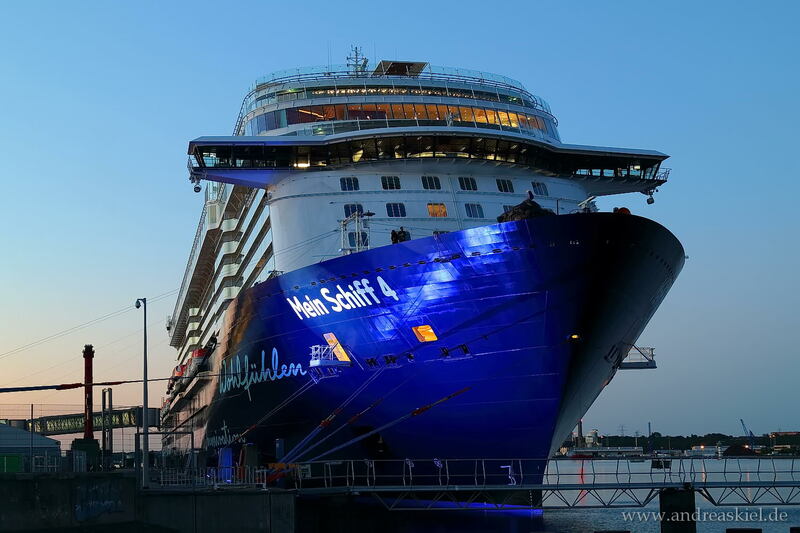 Mein Schiff 6 arrival at Port of Kiel first time (11.05.2017). 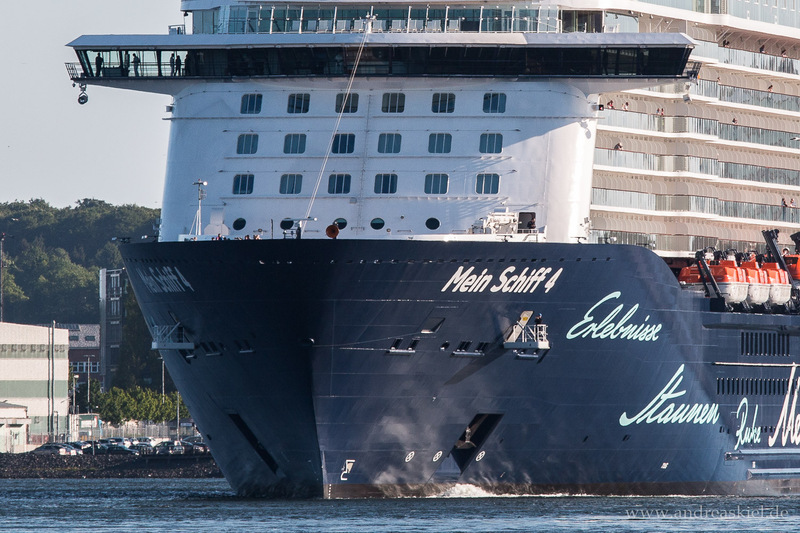 Mein Schiff 4 outbound Port of Kiel (21.05.2016). 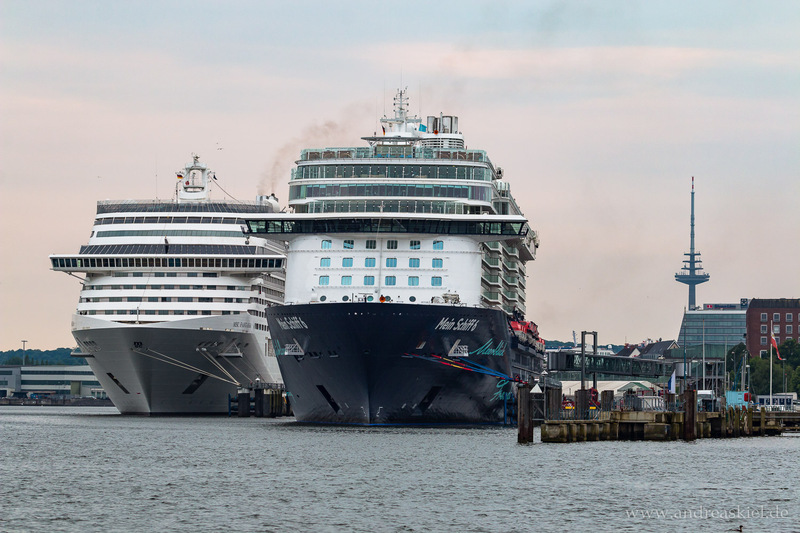 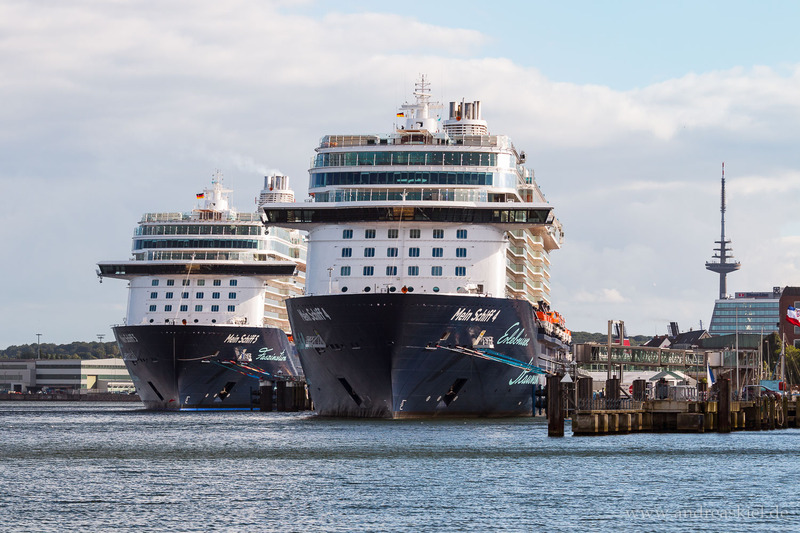 Mein Schiff 4 & 5 Captured Port of Kiel 06.07.2016. 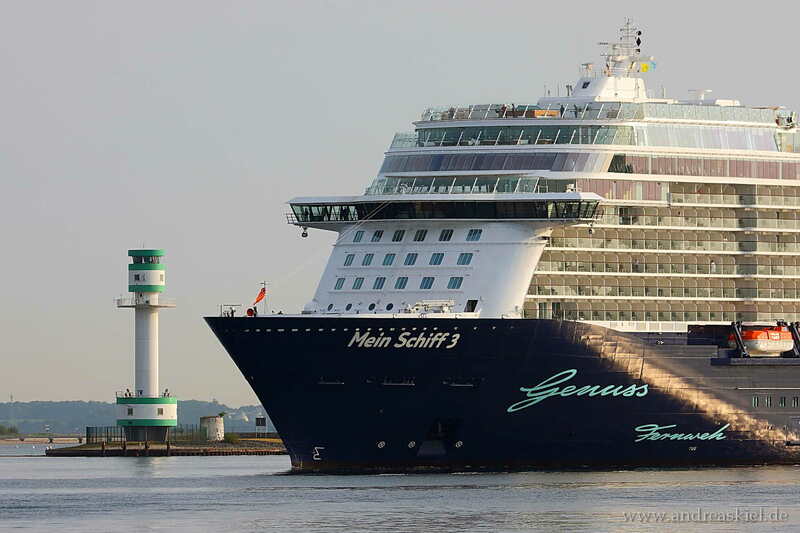 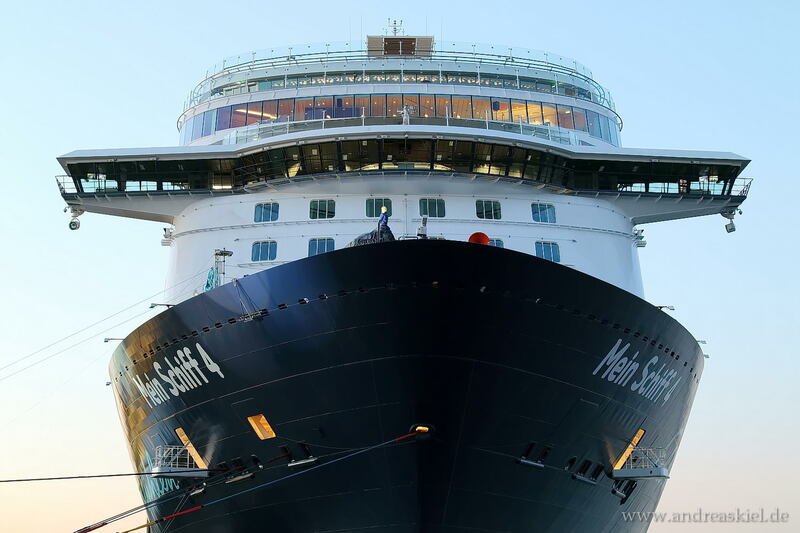 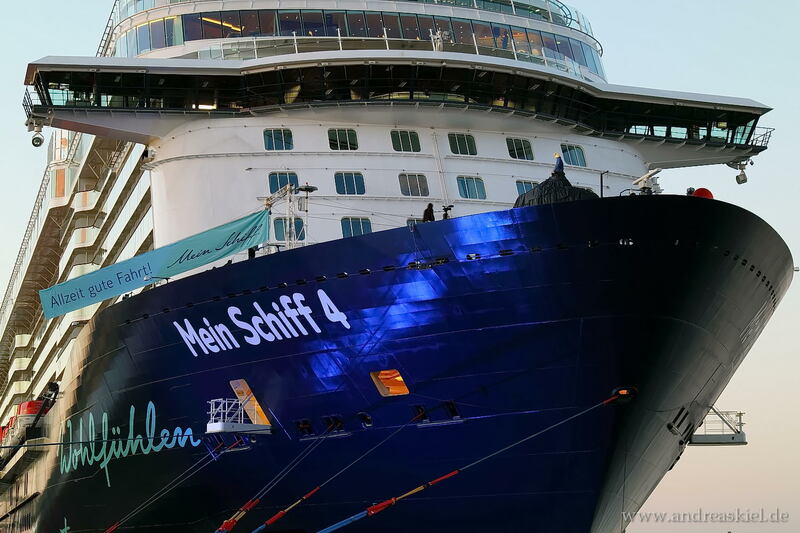 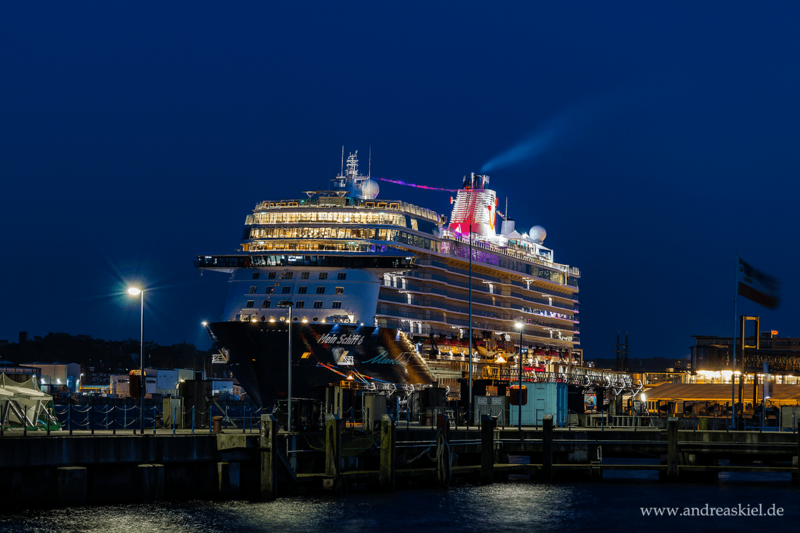 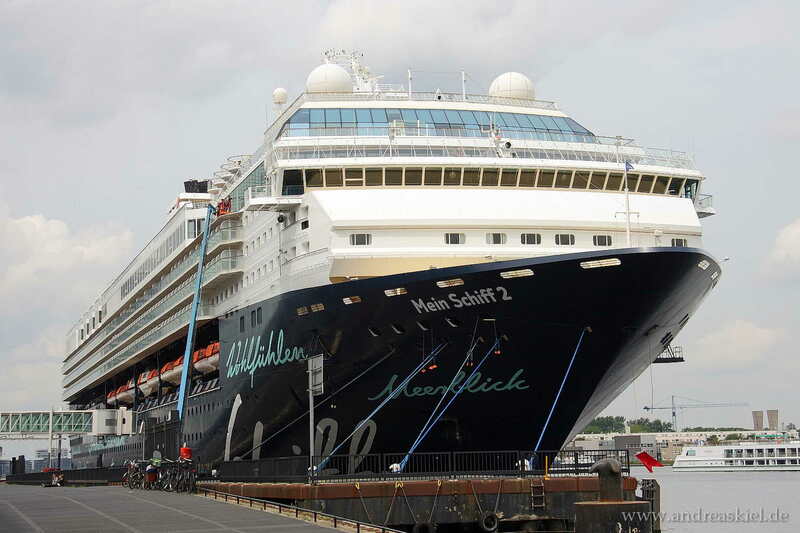 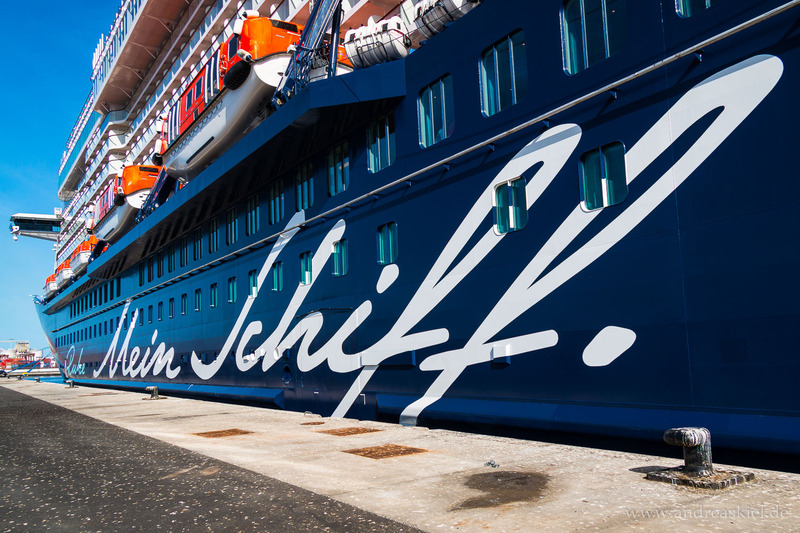 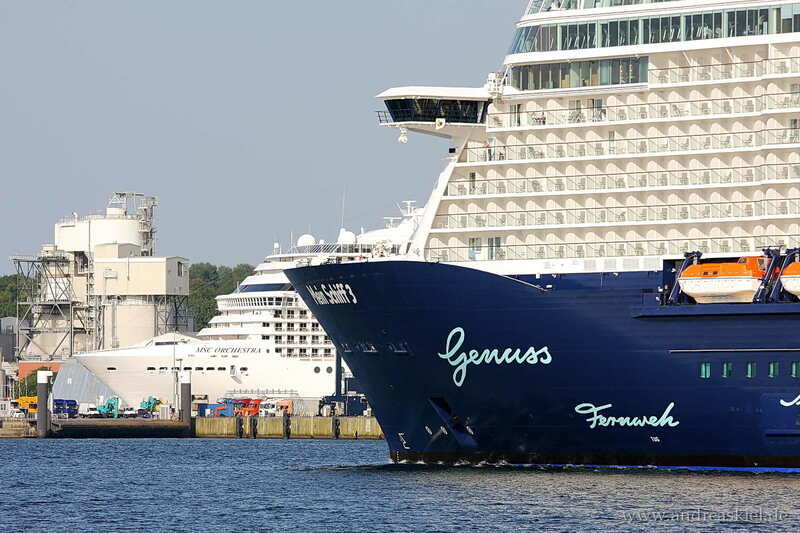 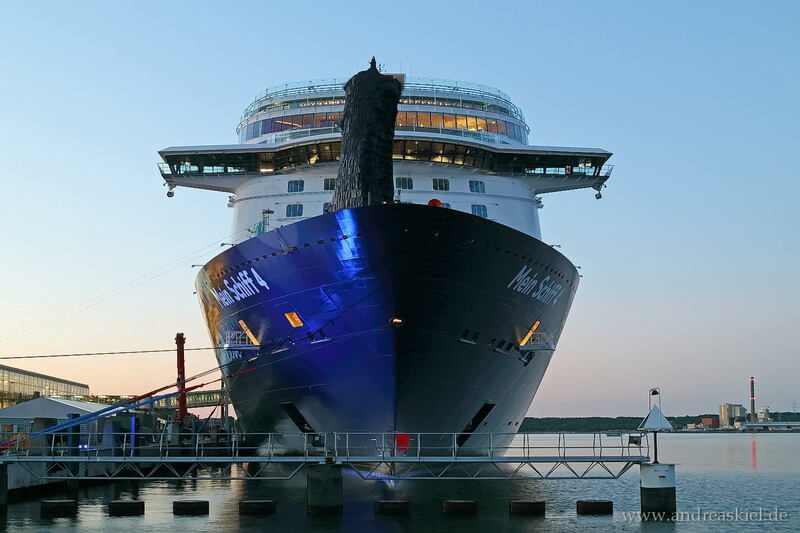 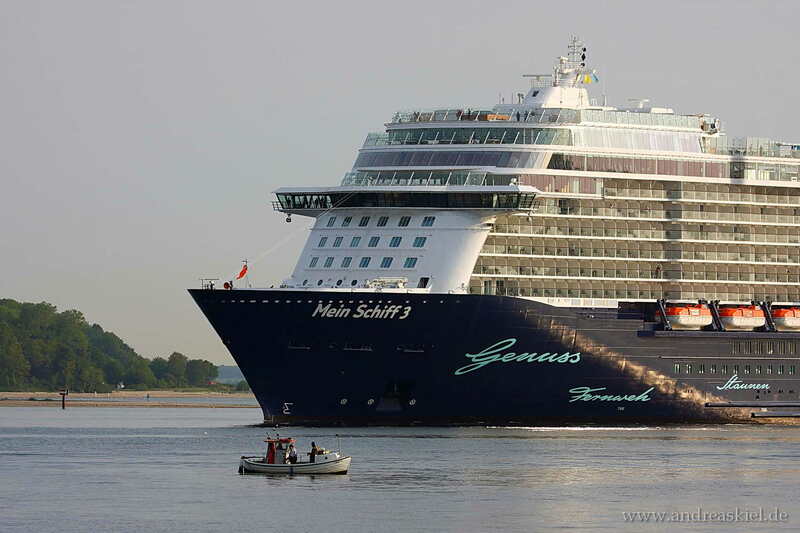 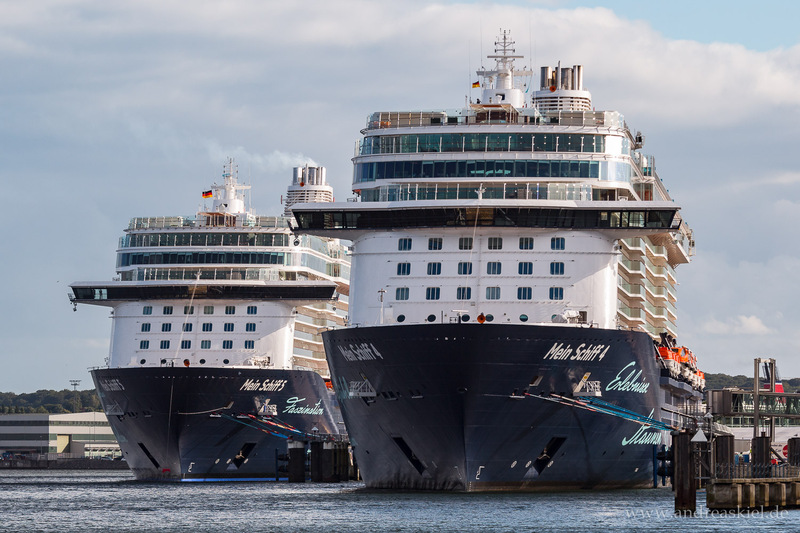 Mein Schiff 4 @ Port of Kiel 04.06.2015. 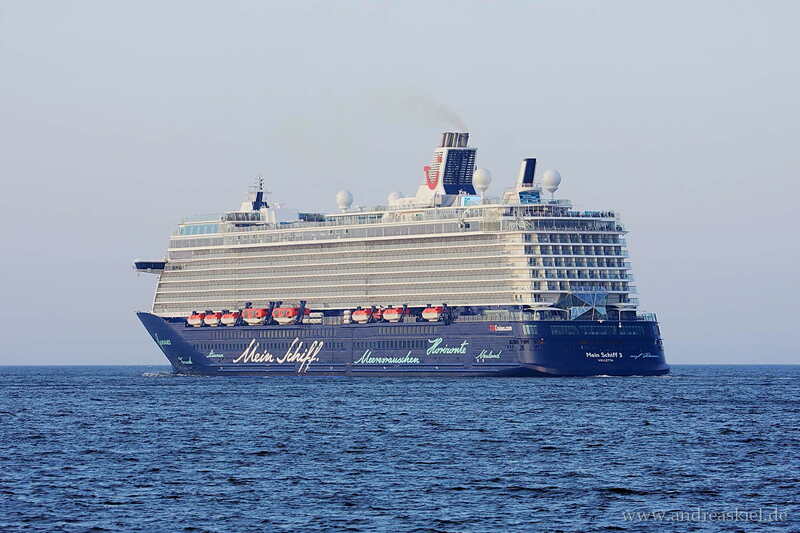 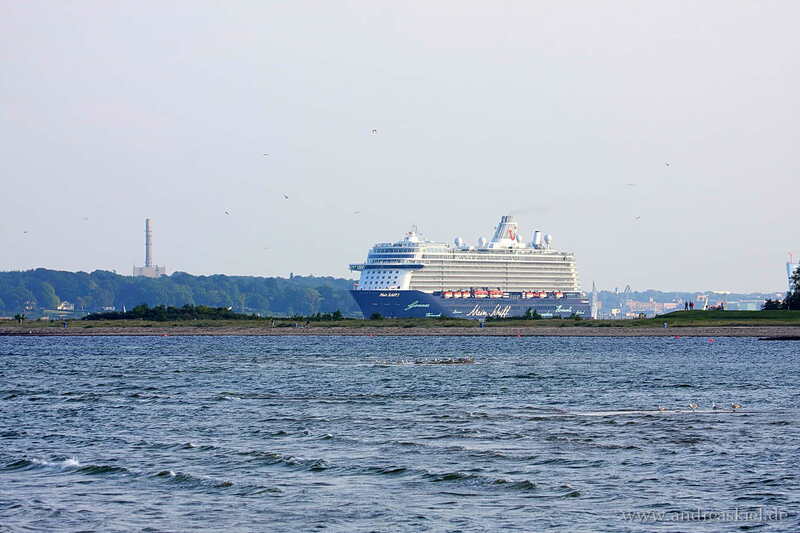 Mein Schiff 4 inbound Port of Kiel 04.06.2015. 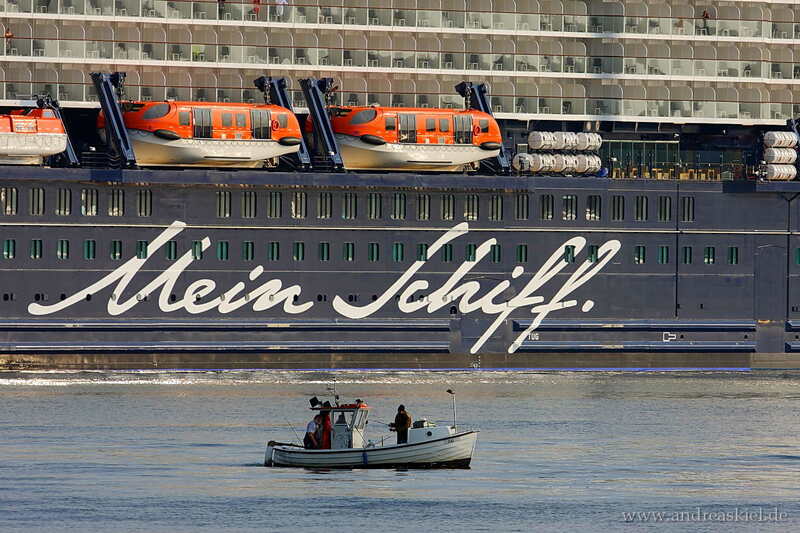 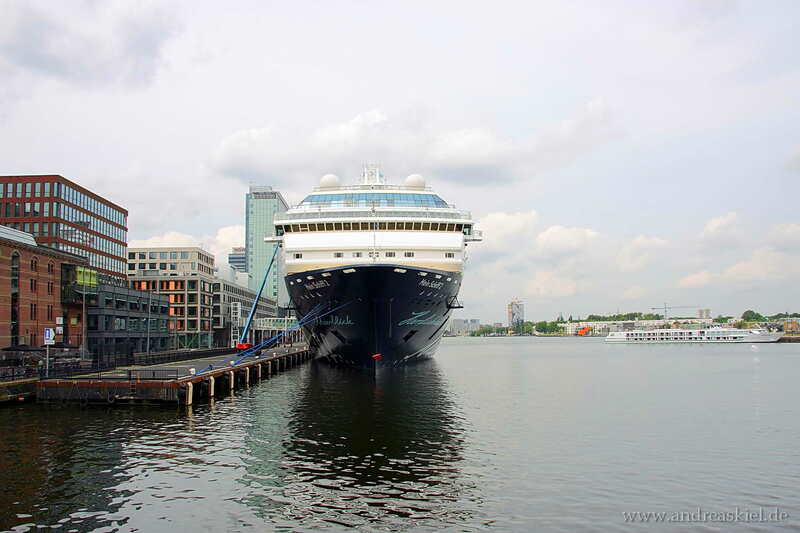 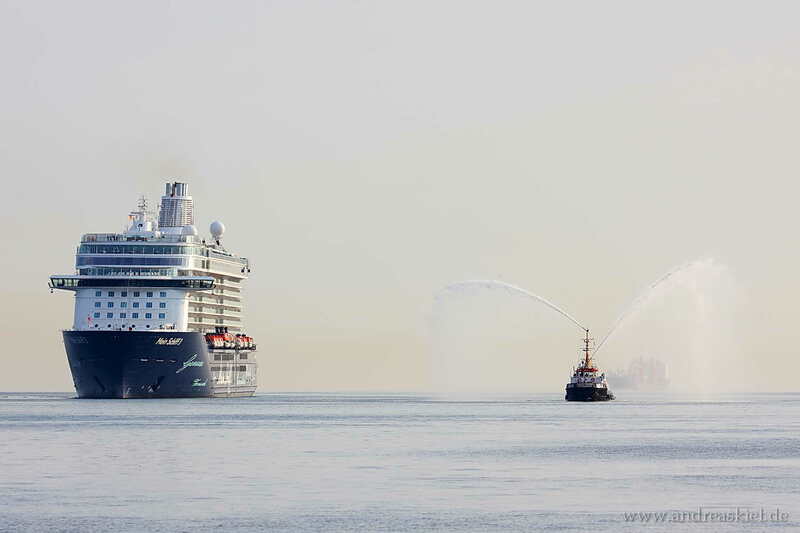 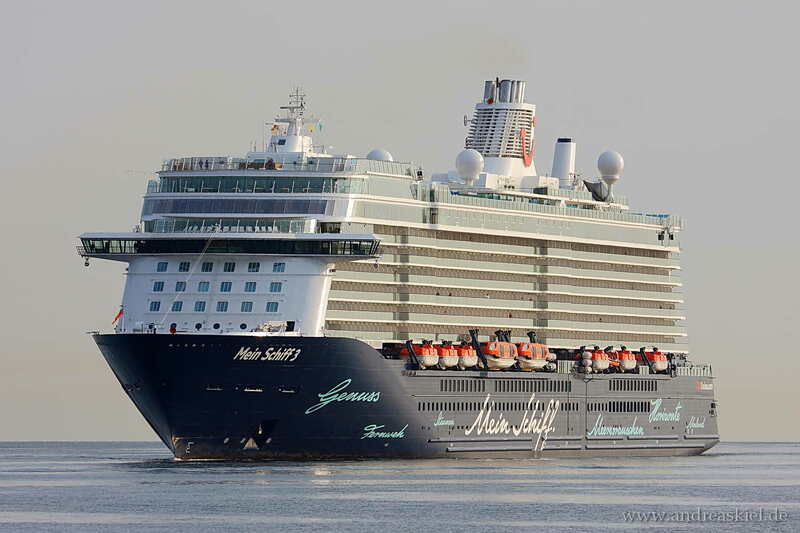 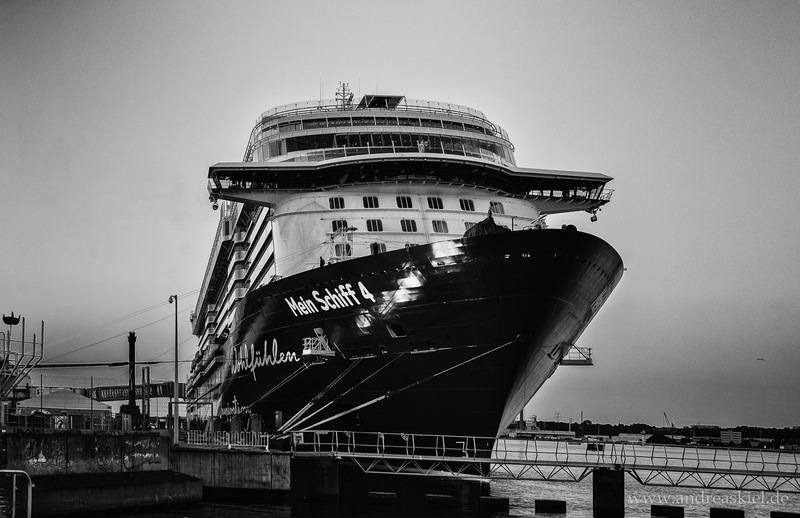 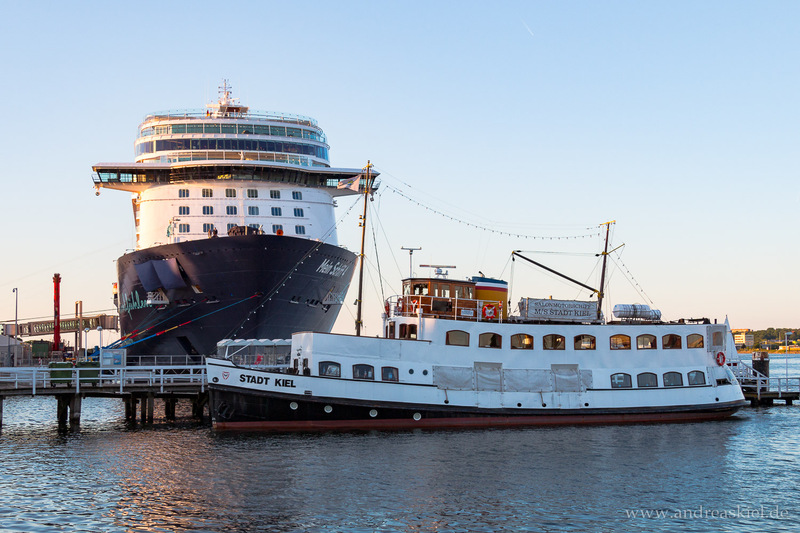 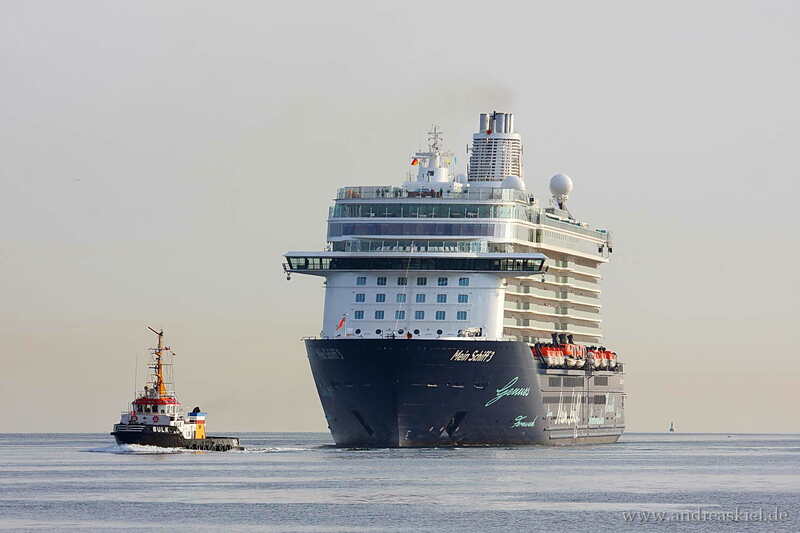 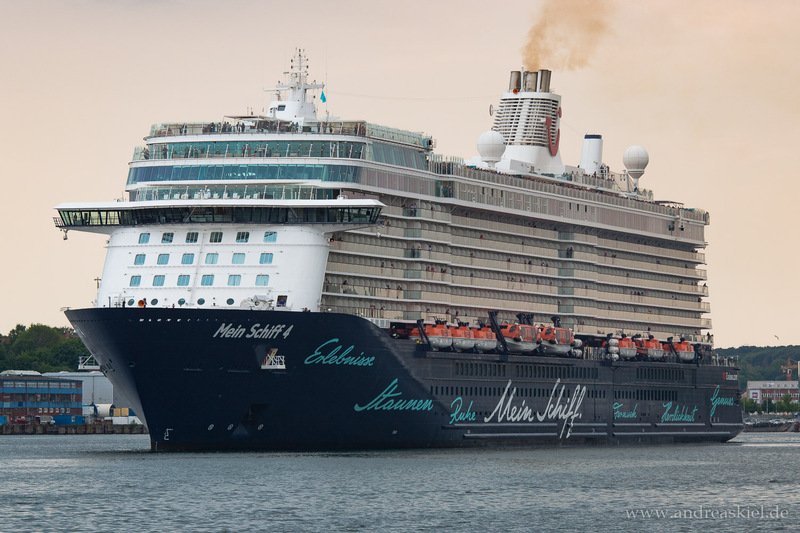 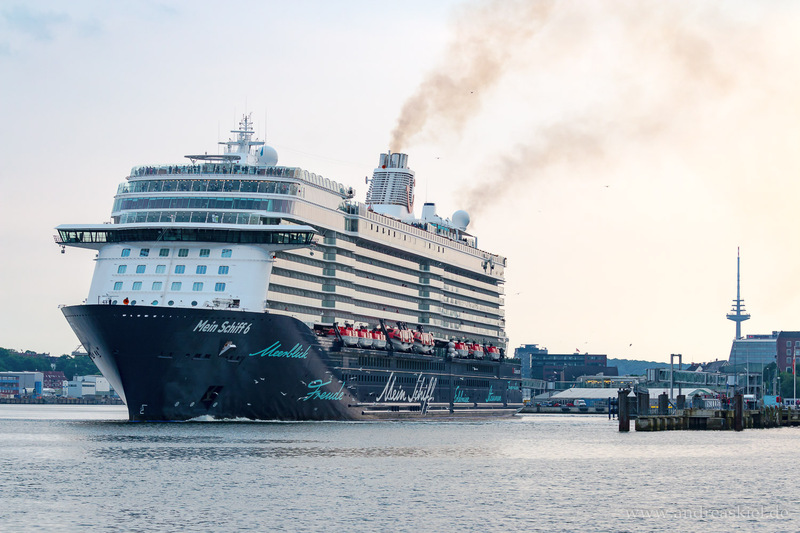 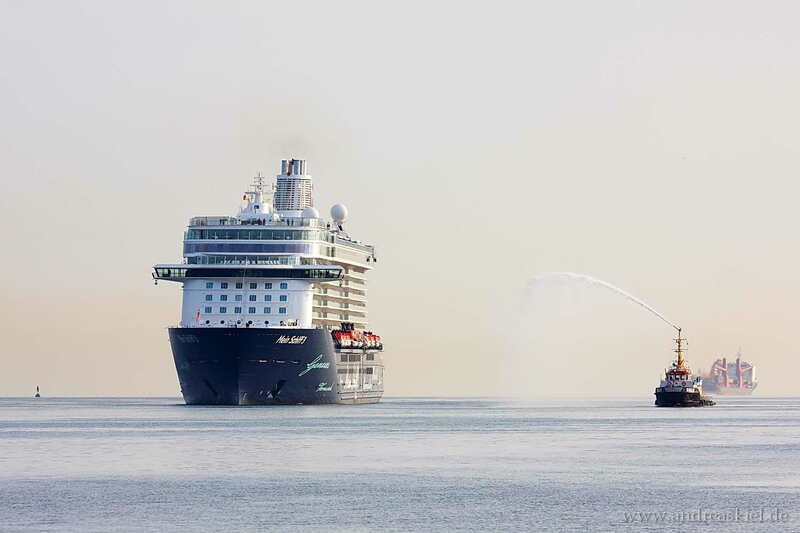 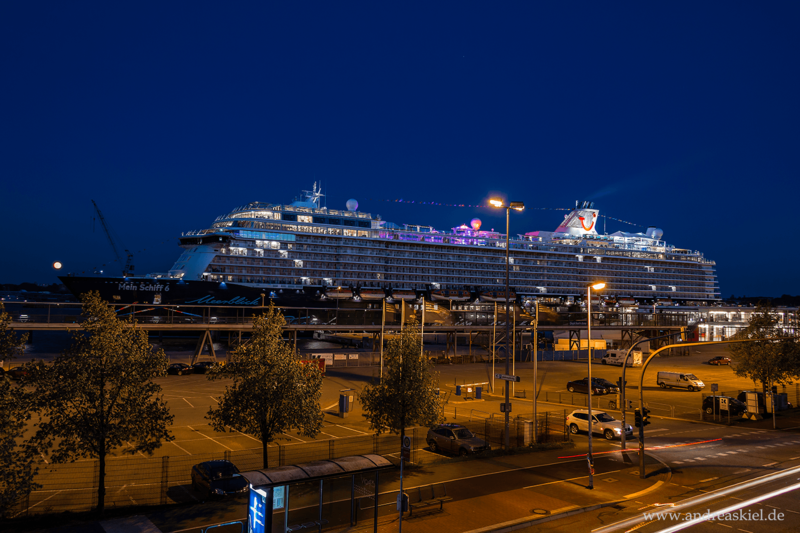 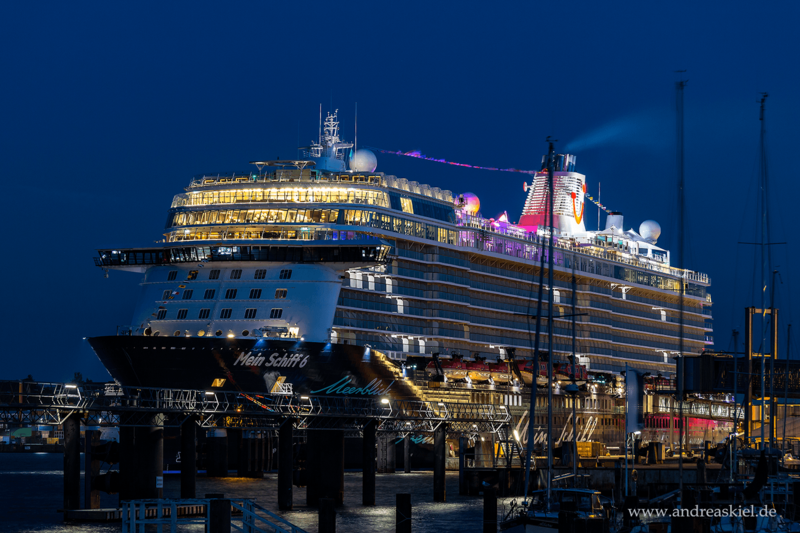 "Mein Schiff 2" captured Amsterdam (23.05.2014). 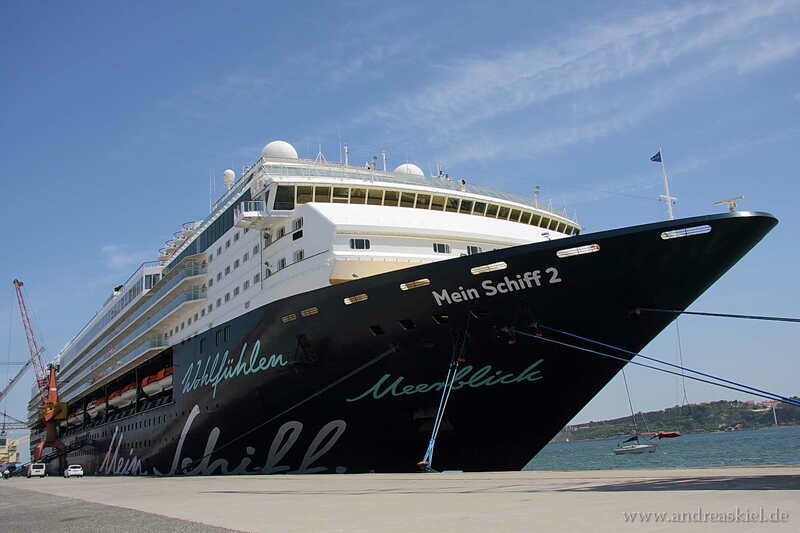 "Mein Schiff 2" captured Port of Lissabon (15.05.2014). 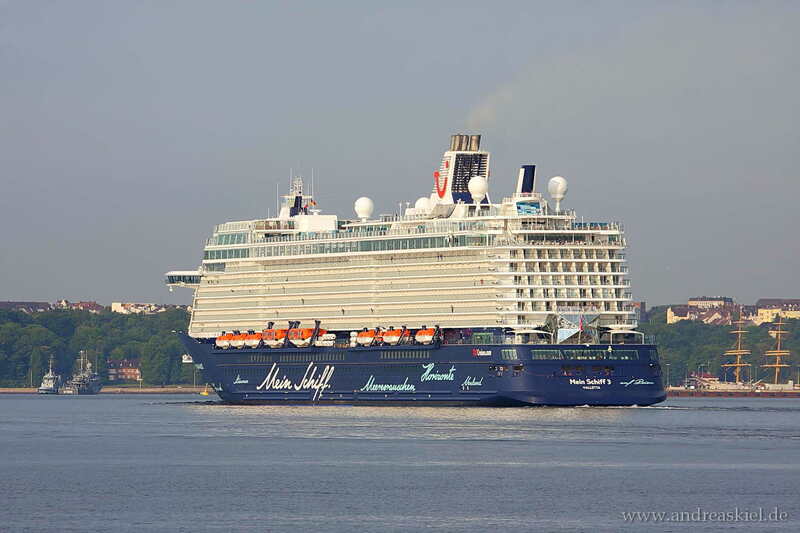 Mein Schiff 2 inbound Port of Kiel 01.06.2014. 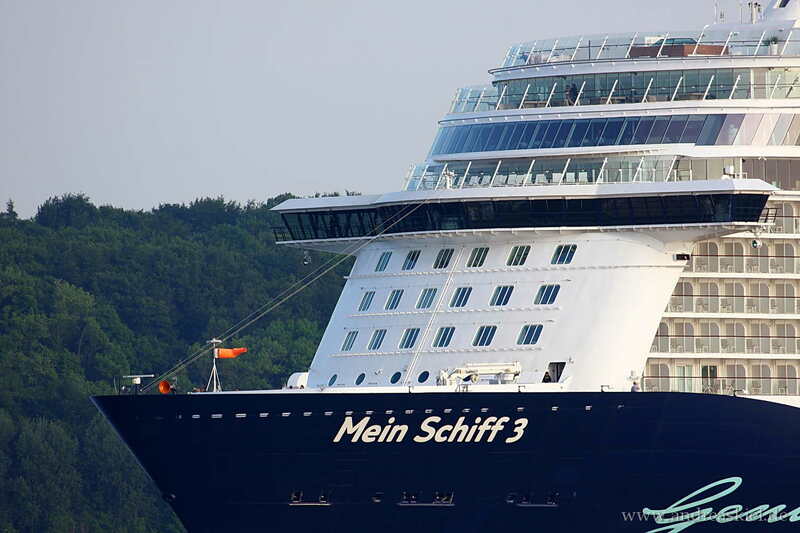 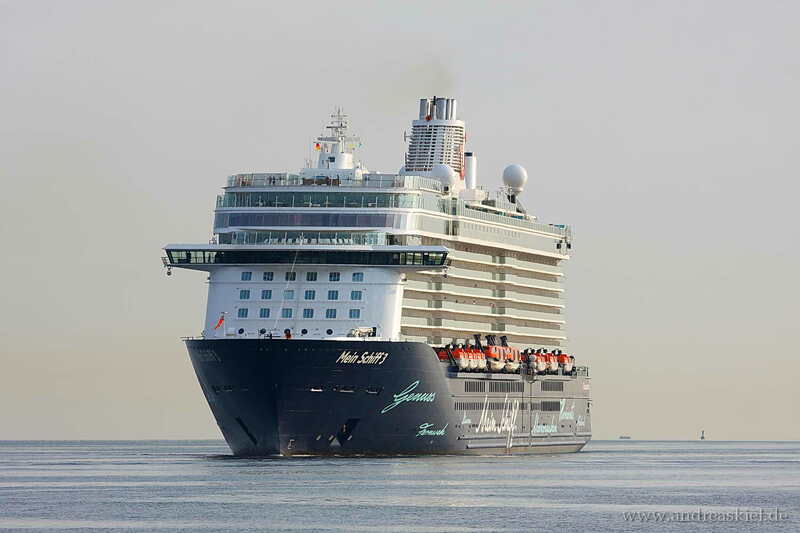 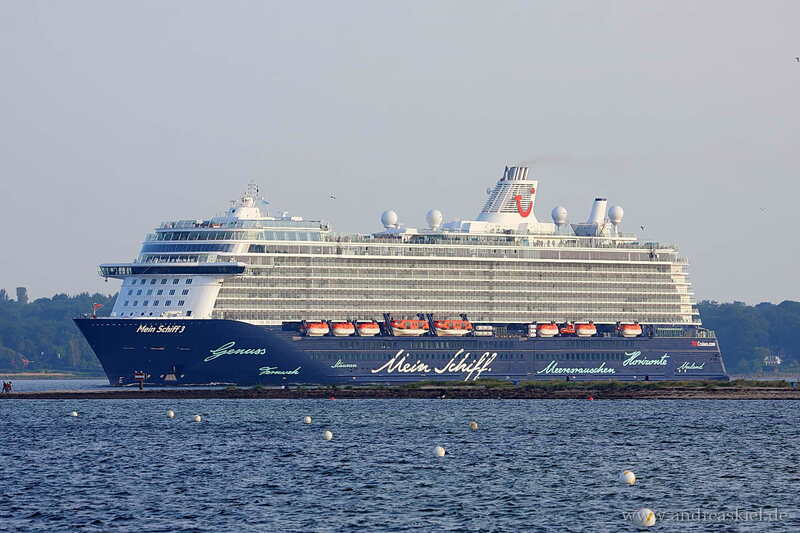 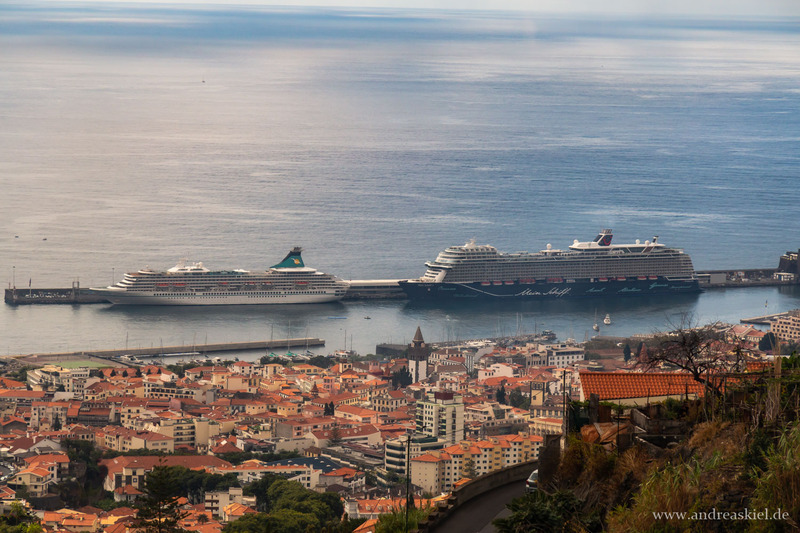 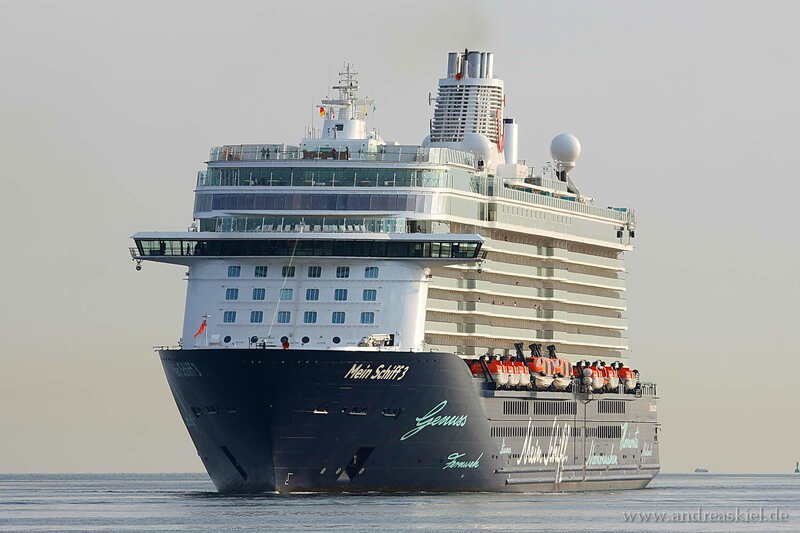 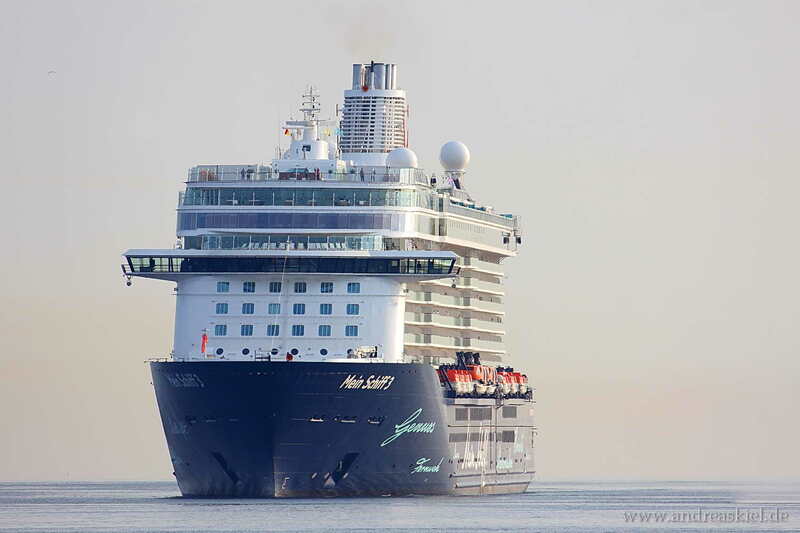 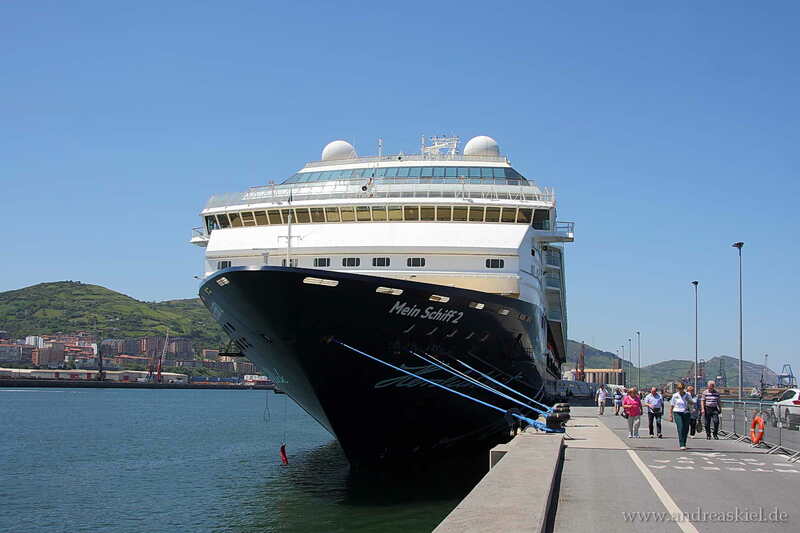 "Mein Schiff 2" captured Port of Bilbao (18.05.2014). 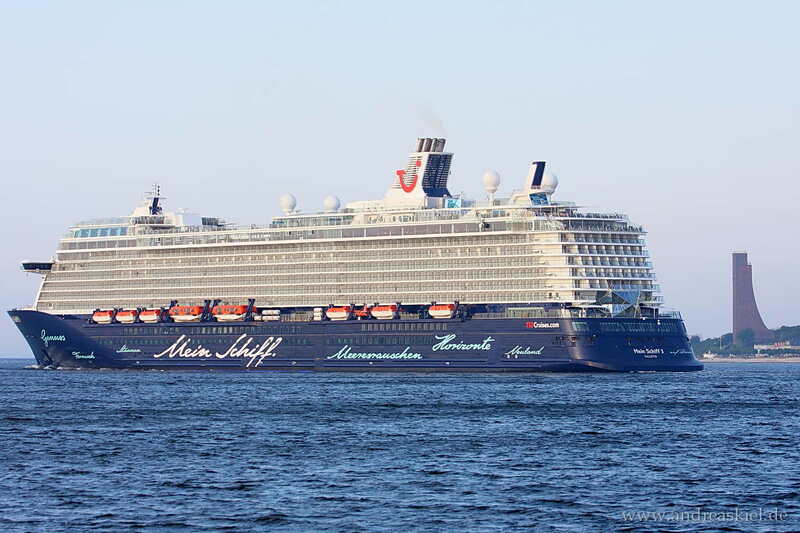 Mein Schiff 2 captured Kiel outbound at 17.05.2012. 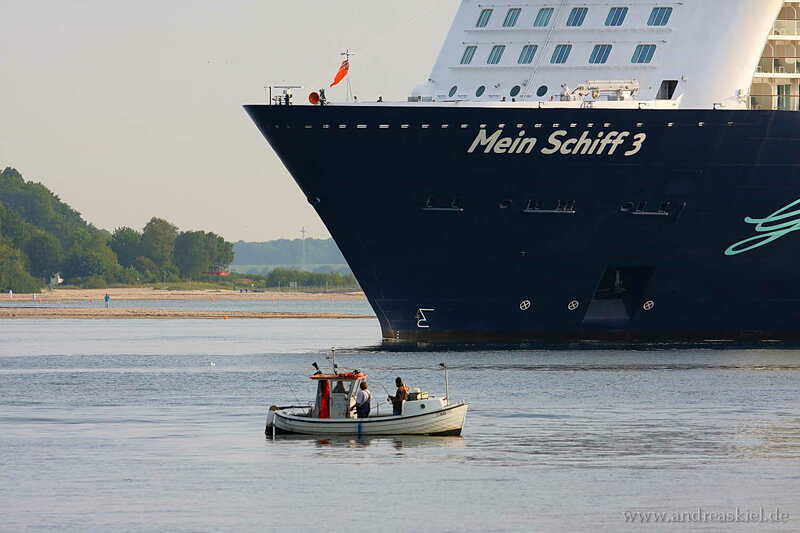 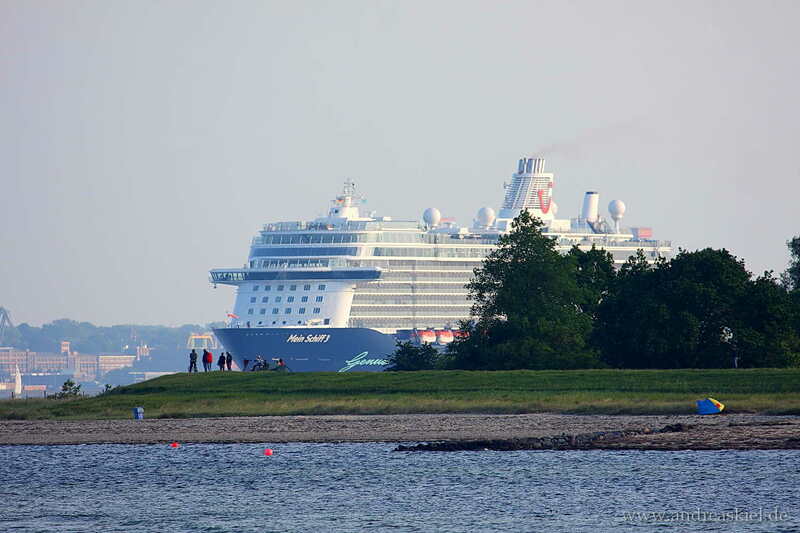 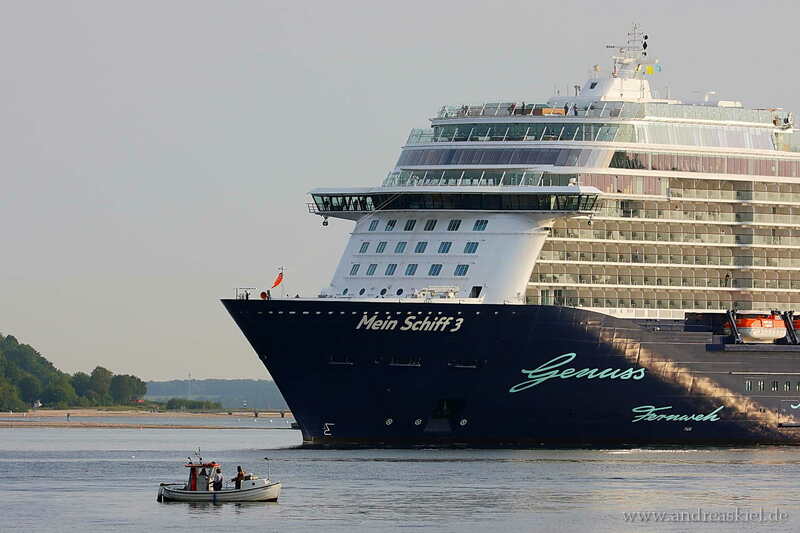 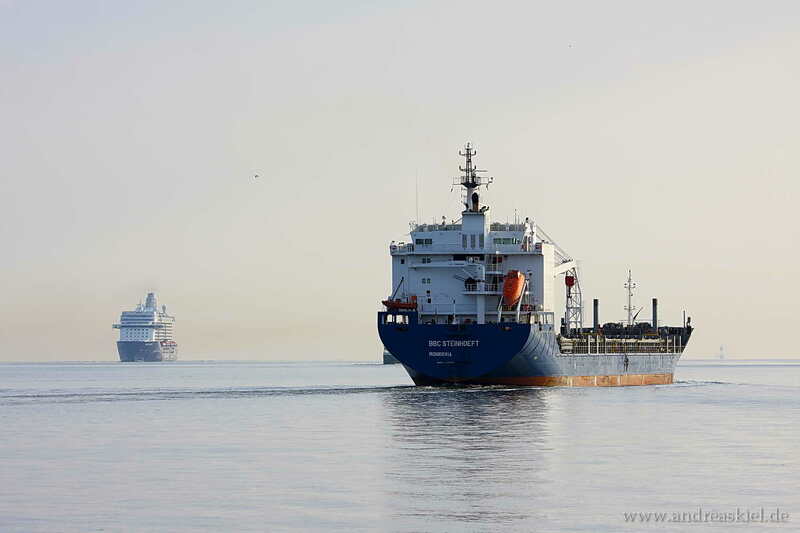 "Mein Schiff 1" inbound Port of Kiel 09.06.2013. 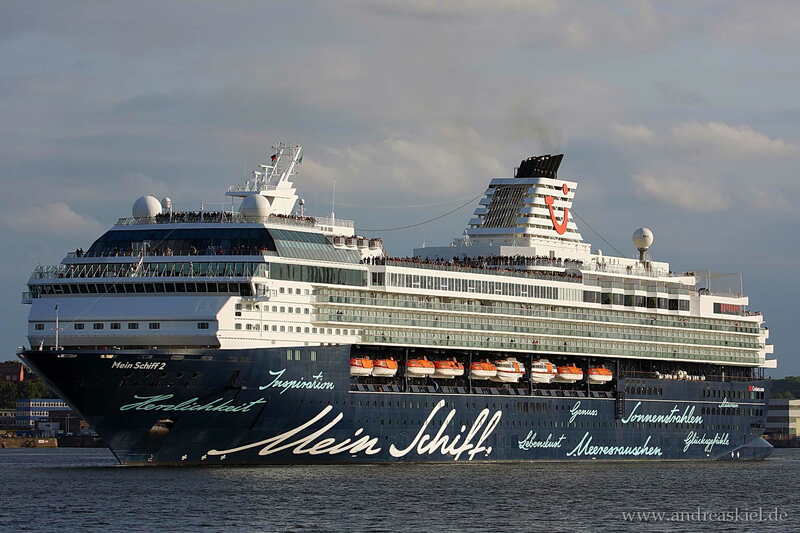 "Mein Schiff 1" captured Kiel outbound at 22.08.2013. 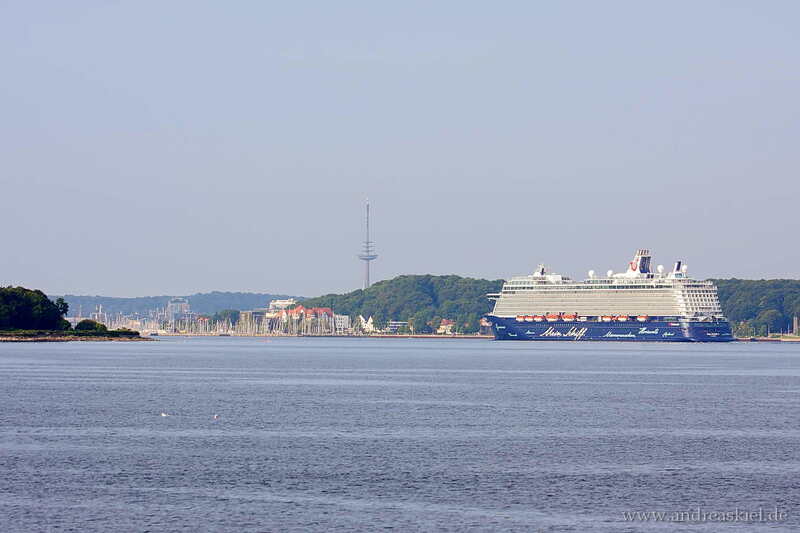 Captured Port of Kiel 29.06.2016.